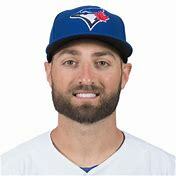 Centre fielder Kevin Pillar was traded to the San Francisco Giants today in exchange for infielder Alen Hanson and right-handed pitchers Derek Law and Juan De Paula. 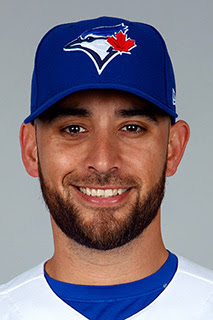 Pillar, 30, has been with the Toronto Blue Jays since 2013. His nickname is "Superman" because of his stellar defensive players in the outfield. However, Kevin often struggles behind the plate and has a reputation for striking out often. He also does not take many walks. Over his 695 games with the Jays, Pillar recorded 55 home runs and 69 stolen bases. His slash line was .260/.297/.396. Nothing personal against Kevin Pillar. I wish him well in San Francisco (He's a native of California, so he'll be returning to his home state). However, I think the Blue Jays made a very good deal. Pillar's value is not going to go higher than it is now. The Jays definitely need pitchers more than they need outfielders. Their hurlers have suffered so many injuries lately and the two acquired in the Pillar trade have an opportunity to contribute greatly to this team. 28-year-old Derek Law is a reliever who made his debut out of the bullpen in 2016. He has posted a 3.83 ERA and 3.51 FIP over 105 2/3 innings. Minor league prospect Juan De Paula is only 21 years old and he recorded a 1.72 ERA in 52 1/3 innings in two levels in the minors last year. Utility man Alen Hanson has played in 243 major league games. 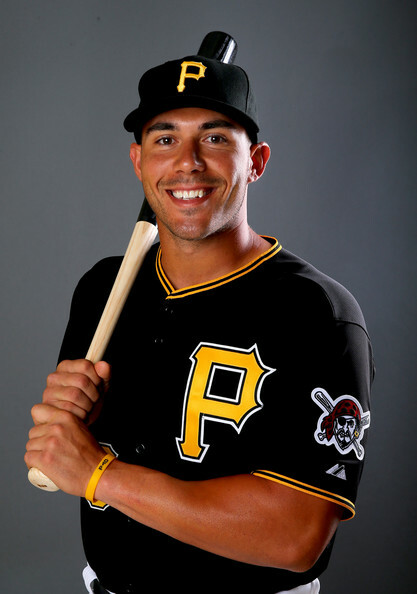 He is very versatile, having played second base, shortstop, third base and all three outfield positions during his time with the San Francisco Giants, the Pittsburgh Pirates and the Chicago White Sox. His versatility should come in very handy for the Jays. Pillars's departure will mean changes in the Blue Jays' outfield. Randal Grichuk will likely take over in centre field and Dalton Pompey has a better chance to make the team, if he stays healthy. After completing their two exhibition games in Montreal, the Toronto Blue Jays are home for today's season opener against the Detroit Tigers. Right-hander Marcus Stroman will take the mound for the Jays. They really need Stroman and Aaron Sanchez to remain healthy if they want to enjoy some success this year. The season hasn't even begun yet and the Jays have been plagued by injuries to their pitchers; Ryan Tepera (right elbow inflammation) and Ryan Borucki (left elbow discomfort) are both out indefinitely. The good news for Tepera is that he won't need elbow surgery. 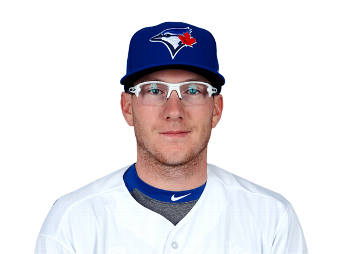 As for Borucki, the promising left-hander will have to miss his first start of the season on March 31st against Detroit. Borucki's place in the rotation will be filled by right-hander Trent Thornton. Thornton, 25, will make his major league debut as the fourth pitcher in the rotation, behind Marcus Stroman, Aaron Sanchez and Matt Shoemaker. The fifth starter will be veteran Clayton Richard. Unfortunately, the injures aren't only confined to pitchers. There's unlucky outfielder Dalton Pompey. He just can't get a break. Pompey suffered his most recent injury in a freak accident. On March 21st, he was scratched from a grapefruit game against the Philadelphia Phillies when he hit his head on some bats in his locker. This may sound absurd, even a bit funny, but it's no joke. The 26-year-old was diagnosed with his third concussion. This is a serious matter and he is required to follow Major League Baseball's concussion protocol. Pompey, the pride of Mississauga, Ontario, has faced one misfortune after another and bad luck usually comes his way at the most inopportune times. In 2017, he suffered a concussion sliding into second base while representing Canada at the World Baseball Classic. He was forced to withdraw from the international tournament just when he was playing well. Pompey now finds himself on the 7-day Injury List (March 22), retroactive to March 25. He played well during spring training He is out of options and can't be sent to Buffalo anymore. His most recent concussion came at a time when he was fighting hard to remain in the Blue Jays organization. His career is in limbo once more and his health is at risk. Devon Travis is another Blue Jay who has been as unlucky and injury prone as Dalton Pompey. On March 13th, the second baseman underwent surgery to repair a torn meniscus (cartlage) in his left knee. Oh yes, and top prospect Vladimir Guerrerro Jr. was sidelined with an oblique injury. It is still uncertain as to when we will see Vladdy play in the majors. Oh well! At least the Jays won't have to deal with a Robert Osuna arrest this year. 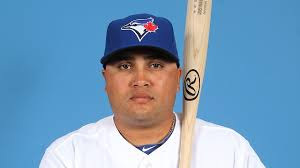 On the eve of Opening Day, the Blue Jays traded slugger Kendrys Morales to the Oakland A's in exchange for minor league infielder Jesus Lopez and international pool bonus space. Morales will be missed because he was such a mentor to the Jays' young Latino players. Without him, the team will not have a full-time designated hitter. For now, the DH position will be rotated, allowing outfielders Billy McKinney and Teoscar Hernandez to get into the lineup more often. We will also see Rowdy Tellez in the DH spot. Rowdy was called up from Buffalo because a place in the roster was opened up for him when Morales was traded. He should be fun to watch. Expectations are low for the 2019 Blue Jays. Should they be? The Toronto Blue Jays are not expected to be contenders this season. 2019 is regarded by the team and its fans as a rebuilding year. However, I have a different perspective on this year's Jays. Now, let me be clear. I am not saying that the Jays are gong to qualify for postseason play. I am merely saying that they probably won't be as bad as the pundits anticipate. It all hinges on the health of pitchers Aaron Sanchez and Marcus Stroman, assuming neither is traded. It's no secret that the pitching rotation is the Jays' weak spot. Unless Sanchez and Stroman are able to return to form, the rotation could be dreadfully weak and ineffective. I like Ryan Borucki, but the remainder of the starters remains questionable. There will likely be more changes because it's only January. There is still plenty of time for the Jays to do some wheeling and dealing. Perhaps Kevin Pillar or Dalton Pompey will be traded in favour of some pitching (you can never have enough). A decision will finally have to be made regarding Pompey. The Jays will have to play him or let him go. This year he can't be sent down to Buffalo. I would be pleased to see him in the outfield, but I'm not counting on it. The Jays seem to have lost confidence in the Mississauga native. Yet he's just the kind of player of player they need. He's fast and he steals bases. That's exactly what the team lacks. Dalton Pompey has been labelled a poor hitter, but he has not really been given the opportunity to develop his skills at the plate. The Jays have used him sparingly during the past few years, mostly as a pinch runner. He desperately needs at-bats. He was hitting well for Canada in the 2017 World Baseball Classic until he left the tournament with a concussion. As for Kevin Pillar, he is an amazingly talented defensive outfielder. He is not such a great hitter, though. His hitting tends to be streaky. Pillar has expressed a desire to remain a Blue Jay, but if the right deal comes along, it would be prudent to trade him. His trade value will never be higher than it is now. The Blue Jays won 73 games last season. I think they could win 70 to 75 games this season, provided they have better luck with injuries. It's doubtful that 2019 will be a stellar season, but it won't necessarily be a disaster. It will be fun to watch the young players and it will be exciting to see Vladimir Guerrero Jr. in the big league. The Jays should be entertaining, but will that be enough to put people back in the seats after last year's severe drop in attendance? The new players, especially Vladdy Jr., will attract fans, but only true fans and students of the game. Remember too that younger fans have no memory of the 1993 and 1994 World Series victories, so they won't fill the stands for old time's sake. 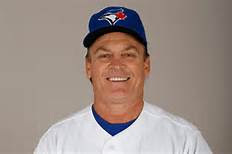 The Jays will certainly be younger and fresher next season, with a brand new manager in Charlie Montoya. However, the only thing that will cause the fair weather fans to return is a winning team. That's the bottom line and Rogers knows it. When the Jays are contending, they become trendy and the dome becomes the place to be. Some familiar faces will not be around this season. Manager John Gibbons and veterans Troy Tulowitaki and Russel Martin have departed. Gibby and Tulo and Martin will be missed, but it was time for them to move on. They just don't fit in with the direction that the organization has chosen to go in 2019. They gave us some great memories, especially in 2015 and 2016, but the future lies ahead. Let's hop we don't have to wait too long for a winning team this time. Fans will give Mark Shapiro and Ross Atkins a chance to rebuild this team, but will certainly not be patient for the length of time it took the Jays to reach the playoffs again after 1994. The team spent over 20 years in the wilderness.. That can't happen again. As the 2019 season draws to a close . . .
We still have Vladimir Guerrero Jr. and Bo Bichette coming up the pike. The obvious weakness is pitching. I've been impressed with Ryan Borucki, but there are too many question marks where the starting rotation is concerned. Aaron Sanchez underwent surgery yesterday on his injured right index finger. Who knows how well he and Marcus Stroman will pitch next season? Marcus Stroman likely won't be back in 2019 since he will be a free agent. The current pitching rotation is inexperienced. There are some young prospects such as Thomas Pannone and Sean Reid Foley. However, the rotation lacks experience. In the meantime, the Jays should try to reacquire J.A. Happ, if possible, or trade an infielder for a pitcher. The team has made it clear that payroll will be reduced next season. That is why its roster will consist of younger player and rookies. Still, the Blue Jays have an excess of infielders. They can't possibly fit all those infielders into the line-up next season. Why don't they trade an infielder for a pitcher? Fortunately, Ken Giles has acquitted himself well as the Jays' closer. If he continues to play well, the fans will eventually forget about Roberto Osuna. The rest of the bullpen needs to be strengthened. The 2019 Toronto Blue Jays are a work-in-progress. They will be raw and untested. They will make mistakes. That is why the team is not expected to contend until 2021. That's when the team will spend money to put the finishing touches on a contender. Until then, fans are asked to be patient. One thing is certain, though. The Jays will have to play better against the teams in their own division. Their record against America League East teams, except for the hapless Baltimore Orioles, has been far from satisfactory. In fact, it has been well below par, especially against Tampa Bay. Next year will be a year of change and transition for the Toronto Blue Jays. As expected, manager John Gibbons will not return. Gibby has had a good run, but I think it's time for a change. The future of veterans Russell Martin and Troy Tulowitzki will also have to be determined. Martin can't catch much anymore and has played third base a lot this season. The Jays have a plethora of infielders and Vladdy Jr. is expected to take over at third base at some point next season. So, where does Martin fit in.? It's a problem because he has a great deal of baseball knowledge to impart to the younger players. As for Tulo, we will have to wait and see how well he has recovered from his injuries. The Blue Jays have made it abundantly clear that outfielder Dalton Pompey does not fit into their plans. They did not even bother to call him up in September. Was that because of the altercation he had with Buffalo Bisons manager Bobby Maecham? Pompey should have controlled his temper, but I can certainly understand his frustration. He was upset at being replaced early in the game by Billy McKinney. Although he served a suspension, it appears that he is still in the dog house. The Jays have lost confidence in him and he has never had a real chance to show what he can do. In recent years, he has had few major league at-bats. Whenever he's been called-up, he's been used sparingly, mostly as a pinch runner. The 2018 season has been a washout for many reasons, especially injuries. The Toronto Blue Jays had a promising start in April, but everything went south in May. On May 8th, closer Roberto Osuna was arrested in Toronto and charged with assaulting a woman. (Osuna was traded to the Houston Astros before the July 31st trade deadline). On May 11th, pitcher Marcus Stroman was placed on the DL with right shoulder fatigue. On May 18th, left-handed pitcher Jaime Garcia joined Stroman on the DL with shoulder inflammation. On May 23rd, third baseman Josh Donaldson left an afternoon game in Boston with calf tightness. He sat out the rest of the series and ended May with a serious batting slump. On May 30th, the Jays were swept in their three-game series with the Red Sox. The Jays finished the month of May with an abysmal 9-19 record. They failed to win consecutive games at any time during that month. They never recovered from that setback. So, here we are in the dog days of August. The Jays are not in contention. They are just playing out the season and planning for 2019. The Blue Birds have just been swept by the New York Yankees. The Pinstripes have been missing two of their key players. Aaron Judge and Gary Sanchez are both injured. Still, the Yanks had enough bench strength to trounce the hapless Jays. The Jays, for their part, seem tired and dispirited. It's been a long, disappointing season. That's for sure! Once again, the Jays are in a rebuilding mode. Josh Donaldsn's days as a Blue Jay are numbered. He will soon be a fee agent and the Jays will be relieved of his huge salary. As for shortstop Troy Tulowitzki, he has spent more than a year recovering from various injuries and surgeries. Tulo has been on the disabled list since July of 2017 and there is no target date for his return. Nevertheless, he seems determined to take his place on the field as soon as possible. There are no guarantees, of course, and his future remains questionable. Still, if Tulo is able to return, it would be a bonus for the Jays. They could use his veteran leadership qualities. Sooner or later, Vladimir Guerrrero Jr. will be patrolling third base. The Jays have another top prospect in Bo Bichette. He is likely to be their shortstop of the future. Then there is catcher Danny Jansen. He's been impressive so far. One thing President/CEO Mark Shapiro and GM Ross Atkins should keep in mind, however, is that Blue Jays fans are not gong to wait through fruitless six-year rebuilding programs. When J.P. Ricciardi was general manager, he tried to sell the fans on multi-year rebuilding programs. He never delivered. Fans will not soon forget that the Blue Jays failed to make the playoffs from the time of their 1993 World Series victory until 2015. They are not prepared to wait that long again. Where does all this leave manager John Gibbons? He seems extremely frustrated, and who can blame him? He was upset with Kevin Pillar during the just-completed series at Ynnkee Stadium. Pillar was caught trying to steal third base with two out in the sixth inning. Pillar is no raw rookie. There was no excuse for his needless and selfish attempt to steal a base. I don't think Gibby will remain as skipper of the Jays after this season. He's had enough. However, I don't think they'll pull the plug on him until after the season ends. Gibby deserves that much. He shouldn't have to take all the blame for the injuries and bad performances. He's also not responsible for Osuna's problems off the field. And the injuries just keep on coming . . .
* The Blue Jays placed Marcus Stroman on the 10-day disabled list today. He has a blister on his right middle finger. Stroman was the starter for the Jays at Yankee Stadium on Friday night (August 17th. He allowed five runs over four innings. His record over 18 games this season is a disappointing 4-8 with a 5.27 ERA. * After their loss in New York today, the Jays have a record o 56-68 in 2018. 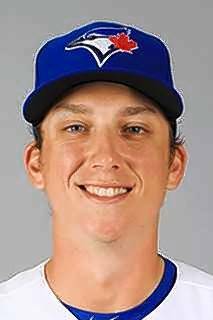 Pitcher Ryan Borucki has impressed me. The 24-year-old has recorded tree consecutive quality starts for the Toronto Blue Jays. He has posted an ERA of 2.25 and 16 strikeouts. Yet, he still hasn't recorded his first major league victory. (He has one loss and two no-decisions). In his major league debut on June 26, 2018, at Minute Maid Park in Houston, Texas. Borucki kept the defending World Series Champions Astros at bay. He held them to two runs over six innings, but the Jays lost the game 7-0 to Houston. Borucki became the 12th pitcher in Blue Jays history to go at least six innings in his big league debut while allowing two or fewer runs. On July 2nd, the southpaw from Mundelein, Illinois recorded seven innings of two-run ball against the Detroit Tigers. However, it wasn't enough to win the game due to the Blue Jays' lack of offence. The Tigers edged the Jays 3-2 in ten innings. 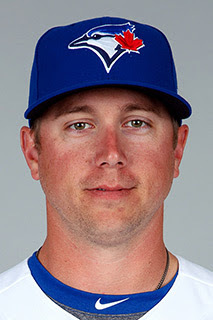 Yesterday (July 8th), Borucki pitched a gem of a game against the mighty New York Yankees. Kendrys Morales pounded the 200th home run of his career to tie the game at 1-1 in the sixth inning, but the Jays were unable to muster any more offence after that. As a result, the Bronx Bombers won the game in the tenth inning by a score of 2-1. In three games, through 20 innings, Borucki has provided the Blue Jays with some solid pitching. Unfortunately, he has received a mere three runs in support. He has also faced the Astros and the Yankees, two of the toughest teams in baseball. He's eaten up innings, which has taken pressure off the Jay's beleaguered bullpen. The rookie lefthander deserves to get his first major league win soon. The kid has earned it. If only his team would help him out. The Jays will embark on a six-game road trip before the All-Star break. Ryan Borucki's next start will be against the Boston Red Sox. Wouldn't it be great if he could get a win at Fenway Park, with some run support from his team. There hasn't been much to cheer about this woeful Blue Jay season. The emergence of Borucki has provided fans with some hope for the future. Maybe all this trade talk surrounding J.A. Happ should be toned down a little. The lanky lefty has thrown two poor games in a row now. All the talk must be affecting him psychologically. After a decent April, the Blue Jays find themselves in the midst of a May nightmare. They just can't seem to get it together. As of this writing, they have fallen to fourth place, behind the New York Yankees, the Boston Red Sox and the Tampa Bay Rays in the American League East. Only the Baltimore Orioles have delivered a worse performance in that division. The Jays have lost four games in a row. They have a woeful record of two wins and eight losses in their last ten games and they have dipped below the .500 mark. Their winning percentage is a mere .468. At the root of the Jays' problems is their pitching rotation. Marcus Stroman is on the 10-day disabled list with shoulder fatigue. Jaime Garcia is also on the DL with left shoulder inflammation. 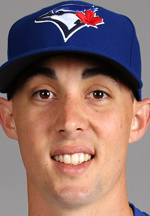 Aaron Sanchez does not seem himself. Perhaps he is still being affected by his finger injury. At any rate, in six games this season, Sanchez has a record of two wins and four losses, with an ERA of 4.47. Keep in mind that his career ERA is 3.19. The struggles of the starting pitchers have adversely affected the Jays' bull pen. The pen has been so overtaxed that the Jays were forced to use DH Kendrys Morales as a reliever. Toronto's starting pitching has lacked depth for a long time now. Why don't the Jays face the fact that Joe Biagini is not cut out to be a starter. He is more suited to be a reliever. The team has too many outfielders and not enough pitching. So far, the rand Grichuk trade seems to have been a big mistake. He hasn't played well and he's currently on the 10-day DL. The team could sure use Dominic Leone, whom they traded away for Grichuck, as well as pitching prospect Conner Greene. The injuries obviously haven't helped. Josh Donaldson doesn't appear to be completely healthy, nor does second baseman Devon Travis, who was sent down to Buffalo, but has been called up again. Veteran shortstop Troy Tulowitzki is on the 60-day DL, recovering from foot surgery. Who knows how effective Tulo will be when he returns? The Blue Jays, however, did prepare for injury and disappointment in the infield by acquiring the services of infielders Aledmys Diaz and Yangervis Solarte during the offseason. Diaz, though, is currently on the 10-day DL with a left ankle sprain. The situation with closer Roberto Osuna is extremely sad and unfortunate. The 23-year-old Mexican pitcher has been charged with one count of assaulting a woman. He is scheduled to appear in court on June 18th. Major League Baseball has extended his administrative leave for a third seven-day period, until May 28th. However, administrative leave is not regarded as discipline and MLB Commissioner Rob Manfred has the option of suspending Osuna without pay or with pay, pending the outcome of the legal proceedings. The Osuna case is definitely a severe blow to the Jays' fortunes but the grave circumstances surrounding it, and the welfare of the woman involved, are far more important. The hard truth is that the Toronto Blue Jays are not in a good place right now, on or off the field. If things don't improve, they may trade Josh Donaldson before the deadline. Manager John Gibbons' job could be in jeopardy. He may not deserve to be fired, but somebody is going to pay the price for a poor season. Look at what happened to coach Dwane Casey when the Toronto Raptors self-destructed in their playoff series with the Cleveland Cavaliers and LeBron James. It's doubtful that the solution is to call up Vladimir Guerrero Jr. just yet. It doesn't make sense to rush young Vlady Jr. out of desperation. A talent like his should be managed carefully. Why not wait until September to call him up? 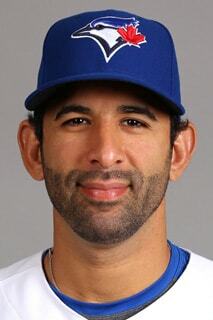 Former Blue Jay Jose Bautista has been released by the Atlanta Braves. It appears that Joey Bats will have to retire. No matter what happens, he has had a great career and his name should be inscribed on the Jays' Level of Excellence. EDITORS UPDATE: (May 23, 2018): Jose Bautista's career is not over yet. The New York Mets signed him to a one-year contract yesterday. He promptly hit a double and scored a run in his first at-bat in a game against the Miami Marlins last night. Despite stumbling out of the gate in their first two games against the New York Yankees, the Toronto Blues fared much better than I expected in April. There is a lot more baseball to be played, but the Blue Jays have begun the 2018 season fairly well. As of this writing (May 7th), the Jays are in third place in the American League East, behind the Boston Red Sox and the Yankees. They have a record of 19 wins, 16 losses and a .543 winning percentage (they failed to reach the .500 mark all last season. The Blue Jays are currently 6.5 games back of the division-leading Red Sox. The New York Yankees, meanwhile, are breathing down Boston's neck as they are only one game behind their Beantown rivals. The red hot Yankees are 9-1 in their last ten games, while the Sox are only 6-4. The Blue Jays are 5-5 after in their last ten, after just completing a visit to the Tropicana Field House of Horrors. Mercifully, they managed to salvage one win in Tampa Bay against the Rays. It doesn't seem as if the Jays are equipped to challenge the dominance of the Boston Red Sox and the Bronx Bombers. They will probably have to vie for a wild card spot, but they will not succeed unless their starting rotation improves. Aaron Sanchez, for example, is 2-3 after seven starts, with an E.R.A. of 4.14. His career E.R.A. is 3.12. As of May 5th, the rotation had combined for a 5.57 E.R.A., the second-worst in major league baseball. The starters had completed seven innings just five times in 34 games. The rotation also lacks depth. If one of the five starters becomes injured, who is next in line? Joe Biagini doesn't appear to be the answer. He didn't look good in his start against Cleveland. The Jays could be in real trouble if someone like J.A. Happ has to be placed on the disabled list. So far, the bullpen has been steady, but how long will that last if the starters keep making early exits? As manager John Gibbons lamented, "We need at least six innings from these guys, and sometimes into the seventh. We haven't been getting that lately." So, the Blue Jays need their starters to be more effective and go deeper into games. They also need third baseman Josh Donaldson to remain healthy. When Donaldson's running on all cylinders, the Jays are obviously a far better team. I've been particularly impressed by the play of two of the Jays' outfielders this season: Curtis Granderson and Kevin Pillar. 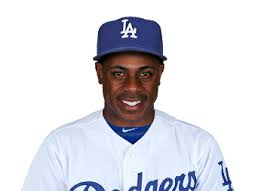 In 73 at bats, Granderson has collected 21 hits, 3 home runs, 13 RBI and has a batting average of .288. In 133 at bats, Pillar has 42 hits, 4 home runs, 16 RBI and a batting average of .316. Granderson possesses good leadership qualities and is active in community work. As for Pillar, I just hope his production does taper off. I've also been impressed with the way backup catcher Luke Maile has been hitting the ball this season. His batting average is currently .294. That's a significant improvement for Maile, considering that his career average is only .200. Outfielder Grandal Grichuk, on the other hand has been struggling at the plate. I realize that the Jays have a lot invested in Grichuk and they want to give him some time to get on track. However, his batting average is a piddly .106. In 66 at bats, he has posted 7 hits, 7 RBI and 2 home runs. On April 30th, he was placed on the disabled list with a right knee strain. If Grichuk doesn't turn it around soon, the Blue Jays won't be able to keep him in the lineup. 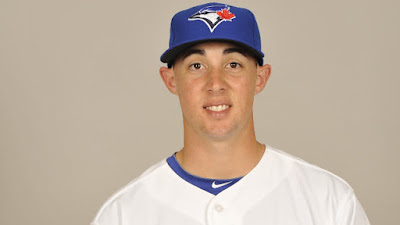 Last January, the Jays gave up a good reliever (Dominic Leone) and a young pitching prospect (Conner Greene) to the St. Louis Cardinals in return for Grichuk. So far, the transaction hasn't been worthwhile. Actually, the Grichuk trade didn't make sense in the first place. The Jays already had enough outfielders. They should have bolstered their starting pitching instead, (By the way, I hope I'm wrong and that Grichuk starts hitting well). 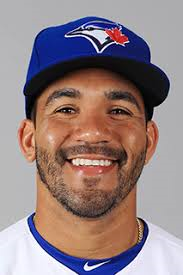 Another disappointment so far this season has been the play of Devon Travis. The 27-year-old second baseman has been optioned to Triple-A Buffalo and reliever Carolos Ramirez has been called up to take his place on the roster. Unfortunately for Travis, the Jays' bullpen has been overworked and he has options remaining. The team can't afford the luxury of letting him work his way out of his slump. If the Jays' starters had pitched better, Trravis would likely have been able to stay. Yesterday was a raw, rainy day in Toronto. It was the first game of the 2018 season and the home opener for our Toronto Blue Jays as they took on the formidable New York Yankees. There was a sellout crowd of 48,115 at the Rogers Cntrre and a touching ceremony in honour of the late Roy Halladay. Doc's number 32 was retired and his name was added to the Blue Jays' "Wall of Excellence." Unfortunately, the crowd's enthusiasm was quickly dimmed. The game didn't offer much to cheer about for the Blue Jays and their fans. The result reflected the dreary weather in our fair city. It was "pathetic fallacy," right out of Shakespeare. The Jays experienced a severe drubbing from those Bronx Bombers, who crushed them by a score of 6-1. For the seventh consecutive season, the Blue Birds lost their home opener. The New York Yankees looked so much bigger and stronger than the opposing Jays. Their players seemed like behemoths or genetically-designed baseball player, especially outfielder Aaron Judge, catcher Gary Sanchez and DH Giancarlo Stanton. 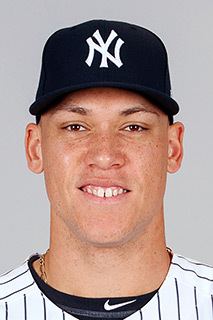 Judge, who plays right field, is 25 years old. He stands 2.01 metres (6 feet 7 inches) and weighs 128 kilograms (282 pounds). Catcher Gary Sanchez is also 25 years old. He stands 1.88 metres (6 feet 2 inches) and weighs approximately 104 kilograms (230 pounds). Then there's 28-year-old right fielder Giancarlo Stanton. Stanton stands 1.98 metres (6 feet 6 inches) and weights 111 kilograms (245 pounds). In yesterday's season opener, he took the wind right out of the Blue Jays' sails when he hit a home run in his first at-bat of the 2018 season. (He delivered another homer in the ninth inning). You may recall that Stanton, was the 2017 National League MVP last season, hitting 59 home runs for the Miami Marlons. Stanton is wearing Yankee pinstripes this year. The rich just get richer, it seems. The fact is that the Blue Jays will have to face the powerful Bronx Bombers a lot this season. Both teams are in the American League East and the Yankees can's be evaded. The Jays will also have to deal with the Boston Red Sox. The AL East is definitely no walk in the park. To rub salt in the Jays' wounds, third baseman Josh Donaldson is injured. Donaldson is playing with a shoulder issue and he made some poor throws yesterday. Manager John Gibbons stated that the infielder is dealing with a "dead arm." That does not bode well for the Jays and probably means that Donaldson may have to DH for a while. * Earlier in the week, I travelled to Montreal where I attended Tuesday's exhibition game between the Toronto Blue Jays and the St. Louis Cardinals at Olympic Stadium. There was a good crowd for a Tuesday night, over 25,000 people. The crowd was not treated to a heck of a lot of offence. The score was 0-0 until the ninth inning. That's when Montreal-born Vladimir Guerrero Jr. hit a walk-off home run. It was the highlight of the game and well worth waiting for (The fans who departed early missed the highlight of the game). This kid is really talented and he thrilled the crowd at Olympic Stadium, bringing back sweet memories of his Hall of Fame father. Vladimir Sr. was signed by the Montreal Expos at the age of 18. He spent seven seasons with the Expos (1996 until 2003). Even though Vladdy Jr. is a potential superstar, I wouldn't rush him to the big leagues . He is only 19 years old. Look what happened when the Jays rushed Dalton Pompey! Jays fans do not want the same thing to happen to a talent like Guerrero Jr. With Guerro Jr. and Bo Bichette, the Blue Jays' future seems promising. It's the present I'm worried about. I really hope the Expos will return to Montreal. It would be wonderful to see them in the American League East. There would be a great rivalry between them and the Blue Jays. It could happen if the the Tampa Bay Rays fold. I don't know how that team has been able to survive. Tropicana Field is a terrible stadium. It makes Olympic Stadium look good. However, Montreal is also going to have to build a new stadium if the city really wants to bring the Expos back. * Troy Tulowitzki has been placed on the 60-day disabled list. The veteran shortstop is suffering from bone spurs. Don't expect him back in the Blue Jays lineup until after the All-Star break. That means the spotlight will be on Aldemys Diaz, who will replace Tulo during his stint on the DL. First of all, there is a lack of offence. For example, the Blue Jays don't have a back-up catcher with some pop in his bat. Russell Martin will turn 35 years old on February 15th. If he is to remain healthy, he'll have to carry less of the work load. Two months ago, the team team outrighted Javier Lopez. Aside from Russ Martin, Lopez was the only catcher to score a positive fWAR in 2017. The Jays' other options, Luke Maille and Miguel Montero, both earned a -0.6 fWAR rating in 2017. Both have struggled and Montero, a two-time MBA All-star, is currently a free agent. He is 34. In 130 at-bats last season, Maille, 26, recorded a paltry .146 batting average. He scored 10 runs, 2 home runs and 7 RBI. Those stats will have to improve dramatically if he wants to be Martin's back-up. The Jays cannot afford to have someone in the batting order who is almost an automatic out. So, they are in dire need of a back-up catcher who can at least hit.above the Mendoza Line. (often said to be .200). Now, let's take a look at the Blue Jays' infield. Justin Smoak is the first baseman. He had a really good year in 2017 but tailed off at the end of the season. He's a question mark. 26 year-old Devon Travis is a career .292 hitter and a fine second basemen; but can he stay healthy? He has been plagued with knee and shoulder problems and was forced to miss most of last season. Shortstop Troy Tulowitzki, 33, has been recovering from an ankle injury that he suffered in July. With all the uncertainty surrounding the health of Travis and Tulo, the Jays were wise to improve their middle infield depth by obtaining Aldemys Diaz from the St. Louis Cardinals and Yangervis Solarte from the San Diego Padres. Bother players can provide much-needed insurance in case Travis and Tulo have setbacks in their recoveries or reinjure themselves. Also, T & T may have to sit out some games in order to remain healthy. In addition, the Jays made the right move in signing 2015 American League MVP Josh Donaldson for another season at third base, thus avoiding arbitration with him. 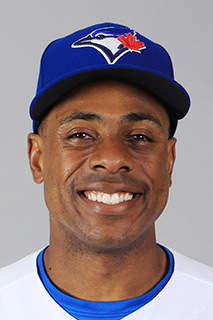 In mid-January, the Blue Jays acquired veteran outfielder Curtis Granderson; They signed Granderson to a one-year deal worth $5 million. Granderson, 36, did not have a great 2017. He played 147 games, first for the New York Mets and then for the Los Angeles Dodgers. Although his batting average was only .212, he hit 26 home runs and recorded 70 RBI. The Dodgers acquired him to help them with their postseason run. After playing a few postseason games for the team, however, Granderson was not included in the Dodgers' World Series roster. Curtis Granderson was a disappointment in L.A. and he struggled through the second half of the season, hitting .183/.315/..425. Still, Granderson will provide a left-handed bat with some punch in a Jays' lineup that is predominantly right-handed. On the plus side, he has power and veteran savvy. He can also play all three of the outfield positions. Unfortunately, what he lacks is speed. He only recorded six stolen bases last season. On top of that, he struck out 123 times in 449 at-bats. Taking everything into consideration, the only major advantage that Granderson may hold over the departed Jose Bautista is that Baustista is a right-handed batter and plays mainly right field. With the acquisition of Curtis Granderson, the Jays have plenty of outfielders. They need pitching. So, why did they trade away two young pitchers? On January 19th, they sent right-handed reliever Dominic Leone, 26, and RH pitching prospect Conner Greene, 22, to the St. Louis Cardinals in exchange for yet another (wait for it) outfielder. In the Cardinals deal, the Toronto Blue Jays obtained 26-year-old outfielder Randal Grichuk The right-handed batter had a batting average of .238 last season, with 22 home runs, and 25 doubles in 442 plate appearances last year. Regrettably, he also displayed a tendency to strike out. In 2017, he walked only 26 times versus 133 strikeouts. Yikes! Why can't the Jays get players who can can get on base and not leave teammates stranded on base? The loss of Dominic Leone is particularly disappointing to fans of the Blue Jays. Leone made a vital contribution to the team's bullpen. He will be sorely missed. The point is not that Grichuk is a really bad player. The point is that the Jays need pitching more than they need another outfielder. It doesn't seem to me that Gichuck is worth the price of Leone and Greene. 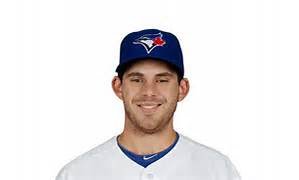 Now that Leone is gone, they may replace him with Joe Biagini, removing Biagini from the starting rotation. With an injury to Aaron Sanchez's finger, the Jays' rotation was very thin last season. Have they not learned from that? In addition to Curtis Granderson, the Blue Jays have outfielders Kevin Pillar, Ezequiel, Carrera, Steve Pearce, Teoscar, Hernandez, Anthony Alford and Dalton Pompey. They should consider trading Pillar and give young, speedy players such as Hernandez, Alford and Pompey a chance. They should also consider trading Justin Smoak for some pitching, although they would have to replace him at first base. Smoak's hitting really improved last season, but can he keep it up? The Jays may not be able to get better value for him in the future. Finally, Designated Hitter Kendrys Morales did not meet expectations in 2017. He hit 21 homers overall but only five in the second half of the season. Morales recorded 60 RBI overall, but only 12 in the second half. If only the Jays had been able to re-sign Edwin Encarnacion . . . I believe they could have if they had played their cards differently. It's a shame that EE is not playing DH and first base here in Toronto instead of in Cleveland. All in all, the Blue Birds are not good enough. They need to make some more moves. * Here is some good news for Toronto Blue Jays fans. Four young players in the Blue Jays organization are on Baseball America's Top 100 Prospect list. They are 18 year-old third baseman Vladimir Guerrero Jr. at #4 (No surprise there. 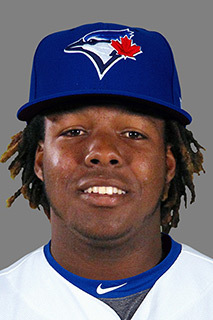 Montreal-born Vladdy Jr. has excellent baseball genes), 19-year-old shortstop Bo Bichette at #8 (The son of Dante Bichette also has excellent baseball genes), 23 year-old outfielder Anthony Alford at #60 and 21 year-old pitcher Nate Pearson at #91. The Blue Jays were the only MLB team to have two plays in the Top 10. This season is mercifully over for the Toronto Blue Jays. Even their most rabid supporters have to admit that 2017 was one of the least memorable seasons in franchise history. The Jays finished on a winning note, however, with a 2-1 victory over the New York Yankees at Yankee Stadium today. It was only their 77th victory this year, but a win is a win, especially against the Bronx Bombers. It is difficult to put a positive spin on the 2017 campaign All I can say is that Justin Smoak emerged as a very capable hitter and first baseman, and Ryan Goins hit the second grand slam of his career and this season in an 8-1 rout of the New York Yankees on September 22nd. He also managed to pull off the rare hidden-ball trick in that same game. In 2017, Goins proved himself to be one of the Jays' few situational hitters with runners in scoring position. Still, I think that Blue Jays president and CEO Mark Shapiro and General Manager Ross Atkins realize that it would be unwise for the team to undergo a massive rebuilding program. In an interview with Sportsnet's Shi Davidi, Sharpiro underlined the benefits of re-signing third baseman Josh Donaldson. "Fans recognize winning and not much else," he told Davidi. "Show me a case study that shows that fans will pay to come out to see individual players when in a losing environment." It would be sheer folly for the Jays to alienate the most supportive fan base in the American League. Shapiro and Atkins indicated that they understand this when they quickly signed starting pitcher Marco Estrada for another season. Estrada clearly wanted to remain with the Blue Jay organization and the Jays could ill afford to lose another decent starting pitcher. The signing of Marco Estrada, followed by the pitcher's own words, sent a message to the Blue Jay faithful that team intends to contend next season. As for Josh Donaldson, I would keep him for one more year, until he'a a free agent and Vladimir Guerrero Jr. is ready to play third base. I wouldn't re-sign him for more than two years. * There is lots of bay news on the Blue Jays front. Closer Roberto Osuna, who is only 22, went to Mexico for the birth of his daughter and outfielder Michael Saunders headed to Colorado for the birth of his child. Meanwhile, outfield Kevin Pillar and his wife Amanda are expecting their first child, a daughter, at any time. Will she be "Supergirl?" * The Toronto Blue Jays will open their 2018 season on March 29th at home in the dome. It will be be part of a seven-game homestand to begin the new season. * The Jays will play five National League East teams in 2018 interleague play, starting with the a two-game series against the New York Mets at Citi Field. The Jays will also play the Washington Nationals, Philadelphia Phillies, Atlanta Braves and the Miami Marlins. They will have road games with all those NL, except Washington. The Blue Jays are scheduled to play a 3-game series against Miami at Marlins Park on Labour Day weekend. * In the final game of the 2017 season, Jays' closer, Roberto Osuna, looked like himself again. He threw fast balls as he saved a 2-1 victory for his team. I don't understand why he stopped throwing them in the first place. The Toronto Blue Jays have had a pretty good September and Marco Estrada pitched very effectively in last night's win against the Minnesota Twins. Today, however, they were pounded 13-7 by the Twins. Let's face it, though, the Blue Jays are merely playing out the season. Unlike 2015 and 2016, there will be no playoffs this year. It's disappointing, especially after having tasted post-season play two seasons in a row. I can't see Jose Bautista returning next season. especially with the lacklustre year he's had. Jose is probably going to have to accept a smaller salary elsewhere and he may have to become a DH. Bautista has been a great player over the years, but he simply did not earn his lucrative paycheque this season. He's in the twilight of his career, but perhaps a change of scenery will be good for him and he will become revitalized. The money saved on Bautista's salary should be used to acquire a free agent starting pitcher. Josh Donaldson did not have one his best seasons. However, he was plagued with injuries and distracted by his helmet flap. He seems healthy now and he's playing like his old self again. I would definitely keep him for one more season, until he becomes a free agent. With the departure of Bautista, there will be an opportunity for a new-look outfield, one that is younger and faster. It could include Teoscar Hernandez, a 24-year-old Domican or the hard luck Dalton Pompey. It's been a lost season for the 24-year-old from Mississauga, Ontario. Pompey sustained a concussion while playing well for Canada in the 2017 World Baseball Classic. He then injured his leg during a rehab assignment with the Triple-A Buffalo Bisons. A healthy Pompey would be just what the Jays need in the outfield, but will they give him a real chance? The Jays will soon have to decide whether Pompey has a place in their organization. Will they play him or trade him? Other potential young Blue Jay outfielders include Anthony Alford, 23, Dwight Smith Jr., 24 and Darrell Ceciliani 27. One them could be traded for some pitching. I would also consider trading centrefielder Kevin Pillar for a decent starting pitcher (maybe a fourth of fifth starter). Pillar makes some amazing catches in the field but he swings at too many bad pitches and he doesn't hit well in key situations. Pillar certainly has value but you have to give up something in order to get something in return. The Jays are in dire need of starting pitchers and they have an excess of outfielders. It makes sense that they trade an outfielder for some pitching. The Blue Jays really need to sign Marco Estrada, who becomes a free agent at the end of this season. Estrada has stated that he wants to remain in Toronto and the Jays can't afford not to sign him for at least another year. The health of oft-injured second baseman Devon Travis is a big question mark for the Jays. Travis is very talented a much better option at second base than the current mixing and matching of Ryan Goins, Darwin Barney and Rob Refsnyder. They have missed Travis terribly in 2017 and their record is always better when he is always better when he is in the lineup. However, if Travis can't shake the injury bug, the Jay had better have an alternative at second base if they hope to contend next season. Barney, 31, becomes a free agent in 2018 and the Jays may not stay in Toronto. However, Richard Ureña provides the Jays with some depth in the middle infield. Ureña, a 21-year-old Dominican, could find a place in the Jays' 2018 roster. The health of starting pitcher Aaron Sanchez is another big question mark for the Blue Jays. Sanchez has a nagging blister on his finger and was forced to sit out most of the 2017 season. In fact, there are many question marks as this disappointing season approaches its merciful end. It will be fascinating to see what moves the Jays make in the off season. Jays complete a 4-game sweep of Oakland A's: Is there still hope for this season? Get out the brooms! The Blue Jays have just swept the Oakland Athletics in a four game series at home in the dome. On Wednesday evening, they rallied for a 3-2 walk-off win with back-to-back home runs from Justin Smoak and Kendrys Morales. Yesterday afternoon, they defeated the A's 8-4 in extra innings, thanks to a walk-off grand slam by Steve Pearce. We Jays' fans are feeling pretty good about the sweep, as we should. Let's savour that quartet of victories over Oakland. Let's enjoy the lingering taste of those walk-off homers. At the same time, though, I think we need to put things in proper perspective. I don't mean to be unduly pessimistic, but the Oakland A's are not exactly World Series contenders..
Boston Red Sox and seven games behind the second place New York Yankees. The reality is that the Jays' starting pitching is woefully thin and Aaron Sanchez has a nagging blister problem. Marco Estrada only lasted until the fifth on Wednesday night. That is just not good enough. It puts too much pressure on the bullpen. All of this does not mean that the Blue Jays can't win 10 or 15 games straight and go on to contend for a wild card spot. It's not impossible, but highly unlikely. First, however, they have to reach the elusive .500 mark, a feat they can't seem to accomplish. 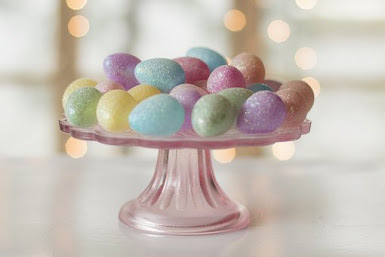 They have already tried nine times without success., but perhaps the tenth time will be the charm. Reaching the .500 mark is a benchmark accomplishment. It feels good but it is only one hurdle in the quest for a wild card spot. There is still a tiny glimmer of hope for post-season play, but everything would have to go exactly right. Let's just say, I'm not counting on it happening this year. There are just too many injuries and too many holes in the lineup. This does not mean that the Bluebirds need to tear the team apart and start from scratch. Nor does it mean that they can't contend next year. It's not an either/or situation. The Jays have a solid core upon which to build. They have an excellent young closer in Roberto Osuna (He is one player the Jays should absolutely not trade) and Ryan Tepera has established himself as Osuna's set-up man. They have a fine first baseman in Justin Smoaks (provided hr can replicate this season's hitting success and prove that it's not just an anomaly). The team also has some really good starting pitchers in Aaron Sanchez and Marcus Strroman. The return of a healthy Devon Travis at second base would help immensely. It's no accident that the team always plays better when he's in the lineup. The bottom line, however, is that the Jays are going to have to get younger and faster.and they still nee to bolster the starting rotations. Both Marco Estrada and Francisco Liriano have not pitched well in 2017.. They have been inconsistent, to say the least. The Blue Jays should try to pick up a decent free agent starting pitcher - two if possible. They will have to convince free agents that the Jays are a contending team. They will have to sell this city to lure free agents here. Rogers will have the money, especially if Jose Bautista goes elsewhere. Bautista is a great player, but his time in Toronto is coming to an end. The savings on his salary alone would be enormous. The first task for 2018 is to bolster the pitching rotation. The starting pitchers have to go much deep into the games. They can't continue to last just four or five innings. It's far too taxing on the bull pen. As I've said before, they can't rely on the long ball so much. Of course, home runs are great and entertaining for the fans. However, sometimes they don't happen and a team has to scratch out runs to win. The Jays have won very few games this year without hitting a homer. That has hurt them a great deal. I'd like to see them get more base hits, steal more bases and bunt a bit more. I know I've been harping on the the number of players the Jays strand on the bases, but it's a big problem for this team. It's very frustrating. I'd also like to see a new look in the outfield. The Blue Jays have three young outfielders in Dwight Smith Jr., Dalton Pompey and Anthony Alford. I hope that at least one of those three makes the team. It should happen because someone will have to replace Bautista if he leaves. The team will also have get off to a better start and be fortunate enough to have fewer injuries. The Toronto Blue Jays must signal to their fans that they will compete next season. They are still drawing large crowds and they they can't afford to let all that goodwill slip away. If the Jays defy the odds and secure a wildcard playoff berth, I will be thrilled. I will cheer them on. However, at this juncture, I can't see that happening. I will certainly enjoy the remaining games of the season, but my focus will be on the future. Unless the Jays mount one of the greatest comebacks in major league baseball history, it's wait until next year. We have reached the All-Star break of the 2017 season and the Toronto Blue Jays are not in a good place. They left for the break on a sour note after losing to the Houston Astros in a horrific 19-1 blowout, the fourth-largest margin of defeat in frachise history. With a mediocre record of 41 wins and 49 losses (six games below .500), they remain dead last in the American League East. So far, for the Blue Jays and their fans, this has been a season to forget. The team has been consistent in its inconsistency and plagued with numerous injuries to key players. A measure of the Jays' frustration is their the inability to reach the .500 mark. They have made 9 attempts to reach that modest goal and they have failed each time. After a nightmarish April, they managed to turn things around in May, only to fall back again in June and July. Amid all the struggles of this 2017 season, the brightest spot has been the play of first baseman Justin Smoak. Smoak's hitting has improved so much that he was chosen to represent the Jays at the All-Star Game. He is to be commended. Another bright spot has been the play of closer Roberto Osuna. Kevin Pillar, unfortunately, was hitting like a house on fire until his infamous homophobic slur incident. After that, his batting declined significantly. 2017 has been a crazy, injury-laden season for the Jays. After a disastrous April, it appeared that they had righted the ship. They always play better when Devon Travis is patrolling second base. However, when he suffered an injury, they began losing again. They sorely miss him. Third baseman Josh Donaldson and shortstop Troy Tulositzki have struggled at the plate this season and they have both had to deal with injuries. This could have been a breakout season for Dalton Pompey. The door was wide open for him to play in the outfield and to show what he could do at the plate. Unfortunately, he has spent most of the season recovering from a concussion he incurred at the World Baseball Classic, representing Canada. Then he suffered a leg injury while playing for the Buffalo Bisons, the Jays' Triple-A affiliate. The Blue Jays' weaknesses are obvious and must be addressed. If this team is to compete in the AL East, it has to get younger and faster. It has to rely less on home runs to win games. The long ball is fine and dandy, but it's not enough. The players need to have higher batting averages, strike out less, steal more bases and leave fewer runners stranded. The Jays are a frustrating team to watch because they can't hit well in the clutch.. They often hit a one-run homer in the 9th inning when it's far too late to matter. If they don't hit home runs, they don't usually win. This should be Jose Bautista's last season as a Blue Jay. He's been a great player, but his time in Toronto is drawing to a close. The money saved on this salary should be used to bolster the team's starting pitching, which lacks depth. The Jays do not lack potential outfielders to replace Bautista in right field. They have Dwight Smith, Jr., Dalton Pompey and Anthony Alford. It will be interesting to see what moves the Jays make before the July 31st trade deadline. The Toronto Blue Jays have been playing much better since their disastrous April. Unfortunately, however, they remain in last place in the American League East. As of this writing, they are 8.5 games behind the division leading New York Yankees. They have a record of 19 wins and 26 losses in 45 games, with a win percentage of .422. This just doesn't seem to be the Jays' year. After a nightmare start, the team has been plagued by injuries to many key players. It has been heartening, though, to see position players such as Ryan Goins and Justin Smoak take up the slack. The Jays don't have enough pitching depth, however, to compensate for injuries to three members of their starting rotation - Aaron Sanchez, J.A. Happ and Francisco Liriano. to have had a negative impact on the Jays. Dalton Pompey suffered a concussion in the tournament and has been denied an opportunity to prove himself. He was playing really well for Team Canada when he incurred the injury and is on the 60-day disabled list. He is expected to be available to play sometime in June. The Jays don't seem ready to make any big decisions about the future right now. They will probably wait until all their wounded players have returned before making any assessments. I doubt they will make any major moves such as trading Josh Donaldson anytime soon. I think they will just sit back, at least until the trade deadline, and see how the season unfolds. There will obviously be some changes, but I don't think the power that be will blow everything up and start fresh. Remember Anthony Gose, former Blue Jay outfielder? 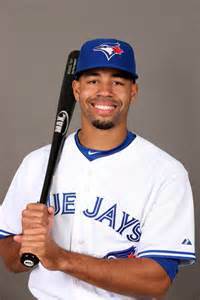 On November 12, 2014, the Jays traded Gose to the Detroit Tigers for second baseman Devon Travis. During the 2015 season, he was Detroit's primary centrefielder. He played in 140 games, recording a batting average of .254 and stealing 23 bases. Then, his fortunes took a turn for the worst. On May 16, 2016, after batting just .209 with two home runs and seven RBI in 30 games, he was optioned to the Triple-A Toledo Mud Hens. On July 9, 2016, Gose was involved in a dugout incident with Triple-A manger Lloyd McClendon and was sent home. On July 10, he refused to show up for the game and subsequently cleaned out his locker. Following a three-day suspension, the Tigers demoted him to their Double-A affiliate in Erie, Pennsylvania.. On January 18, 2017, the Tigers designated Gose for assignment to make room for another player on the roster. Gose, however, cleared waivers and was outrighted to the Triple-A Mud Hens. In March of 2017, the Tigers stated their intention to convert him into a full-time pitcher. 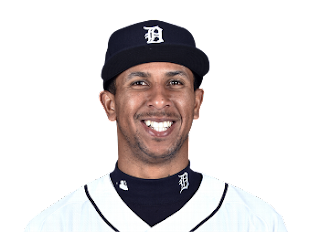 Anthony Gose apparently presented the idea of becoming a pitcher to the Detroit brass. The 26-year-Gose old was a pitcher in high school and according to a Mark Colley article for Bluebird Banter http://www.bluebirdbanter.com. He was able to reach 97 MPH on his fastball before becoming an outfielder. At the end of March, Gose threw a bullpen session for Tigers manager Brad Ausmus. Yesterday, he made his professional pitching debut with Detroit's Single-A affiliate, the Lakeland Flying Tigers of Lakeland, Florida. He appeared as a relief pitcher and hit 99 MPH with his first pitch of the evening. He surrendered a run in the top of the ninth inning and a walk and a double. He struck out one batter. Lakeland lost the game to the Palm Beach Cardinals by a score of 6-1. * Former Blue Jay catcher Dioner Navarro remains a free agent. The Venezuelan has been tending to his wife, Sherley, who is recovering from a severe stroke. Navarro is 33 years old and he did not hit as well last season. However, the Jays have gotten little run production this season from back-up catchers Jared Saltalamacchia and Luke Maile. Saltalamacchia has been sent down to the minors and Maile is only batting .065 to date, although he''s said to have a good rapport with the pitchers. However, Blue Jay fans had hoped to get better hitting from the team's back--up catcher. It's a good thing that Russell Martin has returned from his stint on the disabled list (DL). Disaster! Is it time to push the panic button? The Toronto Blue Jays have stumbled out of the starting gate. They lost to the Baltimore Orioles last night by a score of 6-4, their sixth straight loss in row. They begin the 2017 season with a record of 1-9, the worst start in franchise history and the major league worst record. To make matters worse, their star third baseman, Josh Donaldson, has been placed on the 10-day disabled list with a nagging calf injury. Chris Coghlan has been called up from Triple-A Buffalo with hopes of spurring the team's sputtering offence. Can we start the season over again? Is it time to push the panic button? Hall of Fame pitcher Pedro Martinez thinks so. Pedro tweeted the following on April 13th. "The Jays should panic a bit. I am not seeing the same atmosphere in the team that I saw two years ago. Not sure what is going on." So, is it time to push the panic bottom yet? I don't think "panic" is the right word. Acting out of desperation does not serve any purpose. However, there is reason for very grave concern. The American League East is a very tough division. Baltimore, New York, Boston and Tampa Bay all have good teams. You can't afford to fall very far behind that group. Yes, it's early in the season, but the Jays have dug themselves into a whole. I fear that they may not be able to climb out. Changes and adjustments will obviously have to be made soon. The Jays lack speed. They don't hit in the clutch very well and they haven't been stealing bases. Too many players have been swinging for a home run every time, not content with just getting on base. I try to be optimistic. After all, there is nowhere for the Jays to go but up. However, the situation doesn't look good. In fact.it's quite dire. Still, there are 152 games to be played. I can't bring myself to given up on the season just yet. As I have written before, I would really like to see Dalton Pompey get a chance to prove himself. He's young and speedy, just what the Jays need. His hitting couldn't be worse than some of the Jays' hitting right now. Unfortunately, Dalton's s injured right now with a concussion. He probably won't be available for a few weeks. Even then, the Jays will most likely send him to Buffalo. They don't have confidence in him. 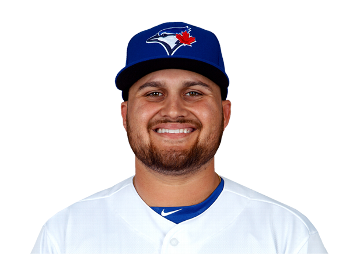 I would also like to see Rowdy Tellez on first base instead of Justin Smoak. However, I think Rowdy will have to wait a bit. The Jays shouldn't rush him the way the way they rushed Dalton Pompey. * Chris Coghlan is 31 years old. He was the 2009 National League Rookie of the Year. He earned a World Series ring with the Chicago Cubs last year. * As of this writing, Jose Bautista has a paltry 1.35 batting average. The 2017 Blue Jays: How good are they? CATCHING: There should be improvement in this department. With Jarrod Saltalamacchia backing him up, Russell should be healthier and more rested. Saltalamacchia is definitely an upgrade from Josh Thole. FIRST BAST: This could be a problem area. The Jays will obviously miss Edwin Encarnacion at this position. Justin Smoak's hitting will have to improve from last season. He'll likely be platooned with Steve Pearce. This will still a steep decline from Edwin at first. Thank goodness 21-year-old prospect Rowdy Tellez is waiting in the wings. Tellez has been making a good impression at spring training and appears to be the team's first baseman of the future. I wish he were ready right now. He's playing well, but I fear rushing him as the Jays did with Dalton Pompey. SECOND BASE: The health of Devon Travis is a concern here. He has a bruised right knee in Game 1 of last October's American League Division series. He is still recovering from the injury and might not be ready for Opening Day. In fact, manger John Gibbons has admitted that "I don't know when he's going to be back and ready to go." Steve Pearce or Ryan Goins will probably play second if Travis is not ready to return. THIRD BASE: The Jays have 2015 American League MVP Josh Donaldson at this positon. As long as Donaldson remains healthy, third base will be well covered, offensively and defensively. Darwin Barney will back him up. SHORT STOP: 32-year-old veteran shortstop Troy Tulowitzki is steady as they come. He has quietly emerged as a team leader and is willing to share his baseball knowledge with his teammates. Infielder Ryan Goins can back him up when necessary. DESIGNATED HITTER: In 2016, Kendrys Morales posted a .263 average last season. along with 30 home runs and 93 RBI. Those are very good numbers. However Morales has big shoes to fill. He's taking over Edwin Encarcion's role at DH. In 2016, Edwin also posted a .263 batting average, but he recorded 42 home runs, and 127 RBI. OUTFIELD: Outfield is another cause for concern. They Jays are set with Kevin Pillar in centrefield. He's good defensively, although not the greatest slugger on the planet. Jose Bautista has returned to play right field. He is a great slugger, but his defensive skills declined last season. However, he has great incentive to play well. If his injuries have healed satisfactorily and he remains healthy, Bautista's defense may improve over last year. It also bodes well that Jose has expressed a willingness to play first base. Unless Smoak improves, Joey Bats may very well spend some time at first. The biggest problem in the outfield is the left field spot. Michael Saunders has gone to the Philadelphia Phillies, leaving left field to Melvin Upton, Jr. and Ezequiel Carrera. I don't think that this is a platoon for a team that hops to contend. The two do not bat well enough against right-handed pitchers and Carrera hits too many ground balls. He and Upton strike out too often. As I've written before, I would like to see Dalton Pompey get his chance. I expect him to start the season in Buffalo. though. Ryan Goins is out of options and Goins will be needed to play second base until Dalton Travis is ready to return. I will be pleasantly surprised if Pompey earns a spot in the outfield. He may get his opportunity if Upton and and Carrera don't produce or if their is an injury. It's too bad that the Jays rushed him in 2014 and have not shown very little confidence in him since. They have given him few at-bats, even as a September call-up. It's a shame because at 24 years of age, he has youth and great speed. If the Jays don't give him a chance, I hope he does well for another team. STARTING ROTATION: The five starters looks really good with Marcus Stroman, Aaron Sanchez, Marco Estrada, J.A. Happ and Francisco Liriano. Unfortunately, the starting rotation is also a source of valid concern. There is a glaring lack of depth. If one or more of those pitchers suffers an injury, the Jays will really have to scramble to find replacement. They may have to take Joe Biagini out of the bullpen or make a quick trade for a starter. They could be in serious trouble. Last season, the rotation remained quite healthy, but it's doubtful the Jays will be as lucky again. BULLPEN: The bullpen looks much better since the Jays obtained lefty J.P. Howell and righty Joe Smith. With the departure of Brett Cecil, the pen didn't look too solid, especially with a lack of dependable left-handers. The team has one of the American League's best closers in 22-year-old Mexican, Roberto Osuna. Veteran set-up man Jason Grilli provides experience and knowledge. Then there's Joe Biagini to round out the top five. Relievers Gavin Floyd, Danny Barnes, Schultz, Ryan Tepera, Matt Dermody and others will compete for the remaining bullpen spots. So, do the Blue Jays have what it takes to be competitive in the AL East this season? There are a lot of question marks and variables. If they stay relatively healthy, there is no reason why they want be in the race. Two Canadians players, both natives of British Columbia, are on the market: Former Jay infielder Brett Laurie and Justin Morneau. Morneau is currently on Team Canada's roster in the World Baseball Classic. There were reports that the Jays were interested in Laurie, but it seems very unlikely he will be back in a Blue Jays uniform any time soon. Laurie, a native of Langley, B.C., was recently released by the Chicago White Sox. Morneau, a native of Westminster, B.C., is a free agent. The Toronto Blue Jays were quickly running out of options. Their outfield looked particularly weak and their offence lacked pop, especially after having lost the very potent bat of Edwin Encarnacion. They tried to secure outfielder Dexter Fowler, but he chose to sign with the St. Louis Cardinals. Bautista is highly motivated. He's a proud man and would love to prove how good a player he still is, at the age of 36. He wants to demonstrate that last season was an anomaly, that he can still make a significant contribution to the Blue Jays. I hope he will play some first base this season. Justin Smoak is far from an ideal first baseman. He hit 14 home runs last season, but his batting average was a paltry .217. That means he strikes out a lot and his numbers are not good enough to be an everyday first baseman. That's why I'd like to see Jose spend some time at first. Fans know that the Blue Jays have been searching for a decent backup catcher to lighten Russell Martin's load. They also know that the bull pen requires a solid left-handed reliever. Lefty Brett Cecil has gone to St. Louis and Aaron Loup has not proven himself. Loup can't seem to fill the void left by Cecil's departure. The Blue Jays have made some recent moves in their attempt to find the right backup catcher. On Monday, the Jays claimed veteran minor league catcher Juan Graterol from the Los Angeles Angels of Anaheim. Graterol, a native of Venezuela, is 27 years old. He signed with the Angels prior to the 2016 season and was promoted to the majors for the first time He was with the Angels for five days but never appeared in a game. After being optioned to the minor leagues, he was called up again in September. Graterol made his major league debut on September 2, 2016, but was designated by assignment on November 22. The Cincinnati Reds claimed him off waivers on November 28. The Reds designated him for assignment in December and was claimed off waivers by the Arizona Diamondbacks. 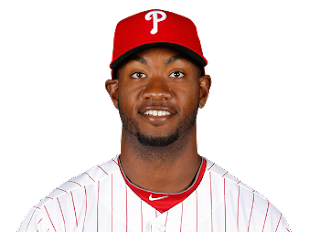 The D-Backs designated him for assignment on January 13, 2017 and the Jays claimed him off waivers on January 23rd. In nine games with the Los Angeles Angels of Anaheim in 2016, Graterol had 14 at bats, 4 hits, 2 Runs, 0 Home Runs, 3 RBI and a batting average of .286. His OPS was .714. Yesterday, it was reported that 31-year-old journeyman catcher Jarrod Saltalamacchia signed a minor league deal with the Bluebirds. Saltalamacchia will receive $1.25 million in the majors. Yet, Saltamacchia has not posted good offensive numbers and he tends to strike out a lot. Then there's Buffalo Bison's catcher, 26 year-old A.J. Jiminez. Jiminez does not have great offensive numbers, but he has shown defensive promise. Another player added into the mix is catching prospect Reese McGuire. The 21-year-old played Double-A last season and doesn't seem ready for the Big Show yet. However, he too has displayed defensive promise. The Jays will eventually settle on both a backup catcher and a southpaw for the bullpen. However, filling those two positions will not make them a contender. Their lineup needs more youth and speed if they expect to compete in the American League East. So, who provides that youth and speed? Look no further than 24-year-old Dalton Pompey. Unfortunately, the Jays haven't expressed a great deal of confidence in the Mississauga native's hitting ability. They rushed his development and for the past two years he has languished in the minors. He has gotten very little batting experience in the major leagues. If the Jays are ever going to use Dalton Pompey, now is the time. Give him his chance. If he rises to the challenge, how sweet it will be. Don't keep him in limbo, though.. If he doesn't fit into the Jays' plans, then trade him. 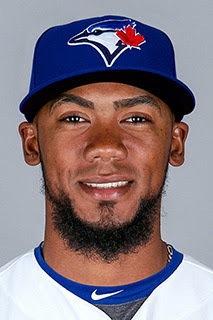 * On Monday, January 23, the Blue Jays signed infielder Gregorio Petit, 32, to a minor-league contract. Petit, also a Venezuelan, appeared in 89 games with the Los Angeles Angels in 2016, batting .245 with a .646 OPS. He recorded 50 hits, 2 home runs and 17 RBI in 204 at bats. As I write this, Jose Bautista is in "active contract discussions" with the Toronto Blue Jays. Bautista and the Jays need each other. It would be to their mutual benefit if they were to agree to a one year contract. Jose is a proud man and he needs to save face. The Jays will have to concede little, but it will be worth it in the long run. They'll have to give him more than their qualifying offer of $17.2 million for the season. However, if his return helps the Jays return to the playoffs, it will be money well spent. 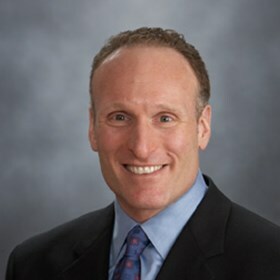 I hope that Mark Shapiro will not be penny wise and pound foolish. If the Blue Jays sign Jose, they will be adding some much-needed power to the roster. Bautista can still slug that ball and the Jays lost a lot of offence when they lost Edwin Encarnacion. Edwin hit 42 home runs and recorded 127 RBI in 2016. Losing him was so unnecessary, too. If they had played their cards right, he'd be back in a Jays uniform. He's gone to Cleveland and nothing can be done about it (At least he didn't go to Boston). Fans are discouraged because the team does not look so imposing right now. There's so much uncertainty and so many questions. Bringing back Bautista will go a long way in restoring the good will of the fans and filling seats at the dome. It will bring some much-needed stability to the Blue Jays. Jose will be highly-motivated in 2017. He would like to make up for a subpar season and show the baseball world how well he can still play. He could also play more first base this season. Justin Smoak has not been impressive. Smoak does't hit well enough and does not get on base enough. It's really unfortunate that Edwin won't be the first baseman this season, but it's too late now. Hurry up and make a deal, Blue Jays! Don't let Bautista slip away. You've already lost Edwin. Don't lose Jose too. Surely you can make this happen! Dalton Pompey turned 24 years old on December 11th and his future with the Toronto Blue Jays remains uncertain. The Mississauga native is in limbo right now, as the Jays have not made up their mind what to do with him. He's an outfielder and he has lots of speed, both of which the team needs, With free agents Jose Bautista and Michael Saunders unlikely to return, the only certainty is Kevn Pillar in centre field. So, where does that leave Pompey? He definitely does not want to languish in Buffalo for another season. 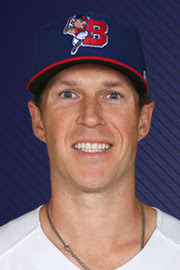 Pompey spent most of the 2016 season with the Triple-A Bisons. He was a September call-up, but had very little big league action. Although dealing with injuries, the young Canadian recorded a batting average of .270 in Buffalo, with a .349 on-base percentage (.702 OPS) and 18 bases stolen in 25 attempts. The major criticism of Dalton Pompey is that he doesn't hit well. However, it's a Catch-22 situation. How is his hitting going to improve in the big leagues if he isn't given the opportunity to face major league pitchers? It seems to me, that Pompey has not been managed well by the Blue Jays. Expectations were too high for him too soon. Unfortunately, he wasn't given enough time to develop. Now the Jays appear to have lost confidence in him. They should make up their minds. Where does he fit in? Is he going to be a part of the team's future? If so, express confidence in him. Give him an opportunity to play. If not, trade him. It's not fair to leave him hanging He should be playing in the big leagues. If he doesn't fit in with the Jays' plans, then give him an opportunity to flourish elsewhere. The MLB Winter Meetings are over and the Blue Jays still have a lot of work to do. The team, as it stands right now, is significantly worse than last year's edition. After enjoying two Blue Jay post-season appearances in a row, the fair-weather fans may not show up if the BJs are not competitive in 2017. Some significant moves are needed to show the fans that the Jays mean business and that they are gong for the big prize this season. Steve Pearce and Kendrys Morales are not enough because the Boston Red Sox and the New York Yankees are going to be much tougher this season. Howver, there's still time for Shapiro and Company to make major improvements. That's all she wrote. The 2016 Toronto Blue Jays are history. They made it to post-season play. They were good enough to advance to the American League Championship Series. (ALCS), but they just weren't good enough to advance to the World Series. They staved off elimination with 5-1 victory over Cleveland, only to fall to their opponents by a score of 3-0 yesterday. In game Game 5 of the series, their bats were once again silent. They didn't score a single run and 50,000 disappointed fans exited Roger's Centre. * They failed to adjust to Cleveland's pitching. They couldn't hit breaking balls well. They struck out too often because they were too intent on hitting the long ball. * Reliever Andrew Miller pitched superbly, but the Jays failed to adjust to his style. They had plenty of opportunity to get used to him and to find a way to deal with him. * They missed Devon Travis. His knee injury was a severe blow to their chances. That's not an excuse, though. Every team has injuries. They have to adapt. * Terry Francona is a better manager than John Gibbons. Francona managed his bullpen masterfully. He used his relievers as if he were conducting an orchestra. For the Blue Jays and their followers, it's "wait until next year" time again. Speaking of next season, what should the Jays do to get over the hurdles and advance to the World Series? * They need hitters with better batting averages. They rely on players who either hit home runs or strike out. During the regular season, Devon Travis had the highest batting average on the team. Travis hit .300. In fact, he was the only member of the team to record a .300 average this season. Last year's American League MVP, Josh Donaldson had a .286 batting average in regular season play. Jose Bautista hit an anemic 234, although he had 22 home runs and 69 RBI in 116 games. Edwin Encarnacion recorded a very impressive 129 RBI and 42 home runs this season. His batting average was .263. Outfielder Michael Saunders, who turns 30 on November 19th, posted a .253 average with 27 home runs and 57 RBI. However, the statistic that really stands out where Saunders is concerned is his 157 strikeouts in 140 games. Saunders will test the free agent market this winter. By the way, Saunders isn't the only one who struck out a lot. Edwin Encarcion is a great slugger, but he struck out 138 times in 160 games. The Jays should not offer Jose Bautista more than a one-year contract for next season. Furthermore, if Bautista returns, he should cut down on the bravado. He never should have said that Game 5 Cleveland starter Ryan Merritt would be shaking in his boots. He provided Cleveland with a great deal of fodder. The must have tacked Baustista's words on their bulletin board. The quote certainly came back to haunt the right fielder. It turned out that Merritt, who had only one major league game under his belt, had the Jays shaking in their boots. They couldn't handle him because he didn't throw fast balls. Don't get me wrong, Jose Bautista is a great slugger and he has had a great career with the Blue Jays. 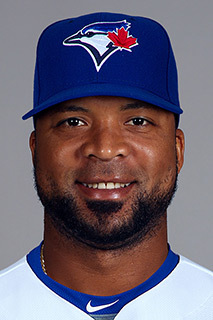 However, if the Jays had to chose between keeping him or Encarnacion, they should choose Encarnacion. Blue Jays fans do not want to see EE in a Boston uniform. That's more like it! The Toronto Blue Jays defeated Cleveland by a score of 5-1 at Rogers Centre. They live to play another day. Cleveland, however, still leads the American League Championship Series (ALCS) three games to one. Toronto starter Aaron Sanchez went six strong innings, allowing just two hits and two walks. One of the walks came around to score Cleveland's only run. The Jays' bullpen was solid too, Brett Cecil, Jason Grilli and Robert Osuna combined for three perfect innings. rest. Kluber went five innings. He threw 89 pitches and was tagged for two runs. He will have to sit out today as 24-year-old left-hander Ryan Merritt starts Game 5 of the series for Cleveland. Merritt, it should be noted, has only played in one major league game. The Jays will send out Marcus Estrada to face Merritt. The good news is that the Jays' sluggers finally made some noise yesterday. The offence produced five runs, including a home run from third baseman Josh Donaldson and a two-run single from Edwin Encarnacion, The Jays have a high mountain to climb, though. They'll have to win today's game in Toronto and two more games in Cleveland in order to play in the World Series. There is no joy in Mudville! The Toronto Blue Jays find themselves behind 2 games to 0 as the American League Championship Series (ALCS) moves to Toronto. The Jays will be in a much friendlier atmosphere at the Rogers Centre. However, as much as fan support helps, the Jays will still have to play better. The fans can't hit the ball for them. Cleveland's pitching has been stellar and the Jays have not been able to score runs. It's the same old story. They depend on the long ball too much and they've been striking out too often. They have got to find a way to scratch out some runs. Yes, they had to face Corey Kruber, but they've only been able to manufacture one run in two games. Kruber skunked them in Game 1 and Josh Tomlin only allowed one run in Game 2. After Tomlin, relievers Bryan Shaw, Andrew Miller and Cody Allen shut the Jays down. Cleveland is on a hot streak and they have one of the best managers in MLB in Terry Francona. Still, the Jays are not hitting well. One run in two games doesn't cut the mustard. It's too bad because Marco Estrada pitched well in Game 1, as did J.A. Happ in Game 2. Their team was unable to give them run support. As they head home to the dome, the Jays have to hope the change in scenery will ignite their offence. It won't help, though, that second baseman Devon Travis, has aggravated his right knee injury. Travis has been replaced on the roster by Justin Smoak while he awaits the results of tests on his bruised knee. That means Travis is ineligible for the World Series, should the Blue Jays advance that far. Unfortunately for the Jays, Justin Smoak hasn't been hitting well and he certainly can't bat as well as Devon Travis. So, to be truthful, I don't feel particularly optimistic about the Jays' chances right now. Who knows, though. Anything can happen. At least they'll have a fired-up crowd on their side - but they had better find their hitting shoes soon. * Trevor Bauer is slated to start Game 3 for Cleveland. Bauer apparently sliced open his right pinkie finger while repairing a drone (talk about weird accidents!). He required 11 stitches to close the wound. He had been originally scheduled to pitch Game 2. We will see if the injury affects his performance. * It's a cliche, but the Blue Jays really have their backs against the wall. This is obviously a game that they can't afford to lose. Otherwise, they'll be down 3 games to 0. They've been flat in Cleveland so far. Here's hoping the Jays find their mojo. It's the Blue Jays against Cleveland! Let the American League Championship Series Begin! Here we go, fans. The excitement begins tonight at Progressive Field in Cleveland, Ohio. The Toronto Blue Jays face Cleveland in the best-of-seven American League Chamionship Series (ALCS). Marco Estrada will be taking the mound for the Jays in Game 1. Estrada will face Cleveland ace Corey Kluber. Devon Travis is expected to be back in the lineup and Francisco Liriano will return for Game 2. That's good news. * Baseball writer Jon Heyman, an insider for the MLB Network, has written that the Jays plan to make a long-term offer to Edwin Encarnacion. Encarnacion may not accept the offer, of course, but the Jays really have to try and sign the slugging first baseman/DH. Otherwise. the Boston Red Sox will get their hands on him. As a free agent, Encarnacion may choose to go to Beantown anyway. Meanwhile, the Red Sox are just salivating at the opportunity of having Edwin as their DH now that Big Papi has retired. They'll certainly offer him a fortune to play at Fenway. * The Los Angeles Dodgers defeated the Washington Nationals last night to advance to the National League Championship Series. The will play the Chicago Cubs and the winner will go tho the World Series. That means that if the Jays get by Cleveland, they will play the Cubs or the Dodgers in the October Classic. If it's the Cubblies, they'll be the sentimental favourites in the U.S. because they haven't won the World Series since 1908 - that's 108 years ago. If the Jays play L.A. in the World Series, they'll play Alex Anthopoulous' team. The Blue Jays head home to Toronto with a 2-0 lead over the Texas Rangers in the American League Division Series (ALDS). They won yesterday's game in Arlington by a score of 5-3. I should be ecstatic. Don't get me wrong. I am very happy that they won both games deep in the heart of Texas. I'm just concerned about their injured players, especially left-handed pitcher Francisco Liriano and second baseman Devon Travis. Liriano was removed from yesterday's game after he took a Carlos Gomez line drive off the back of his head in the eighth inning. Unbelievably, although it was a 102 m.p.h. line drive, Liriano didn't fall. He wondered around the mound until head train George Poulis appeared and whisked him away. Obviously, head injuries are always worrisome and no chances can be taken with a player's health. I hope the lefty is all right. Francisco Liriano was released from the hospital and has returned to Toronto. Meanwhile, Travis has a mysterious knee injury. He does not know when and how it occurred. "I The really know exactly when or how it happened," he stated. I felt it (Thursday); I was hopping it wasn't going to be that big a deal today." The knee is causing him discomfort, though, and he is going to undergo an MRI. As of this writing, it is doubtful that Travis will play in Game 3 of the series tomorrow. The loss of Liriano for the playoffs would be devastating to the Blue Jays. The bullpen is probably the Jays' weakest link. It's already suffering from the loss of Joaquin Benoit to an unnecessary and unavoidable injury during a bench-clearing brawl with the New York Yankee. The Jays are paying the price for their good ol' boy mentality. Benoit would look awfully good in the bullpen right now. At least Roberto Osuna, who had a shoulder issue, pitched well when he took over from Liriano. The Jays also cannot afford to lose Devon Travis, the team's lead-off hitter. They don't have another player who can match him as a slugging second baseman. His knee problem came out of the blue. As the Jays prepare for Game 3, the health of both he and Liriano is of paramount concern. Okay, Blue Jays fans, let's enjoy the moment. On Tuesday, our team won the wild-card game against Baltimore.in extra innings. It's unfortunate that some yahoo fan threw a beer can at Baltimore outfielder Hyun Soo Kim. I'm glad the culprit was caught on camera and turned himself in to police. What a disgrace in what a poor reflection on our city! I hope viewers in other cities won't judge Toronto by the boorish behaviour of one wayward fan. Nevertheless, the incident didn't do much for Toronto's image. Tuesday, the Jays came up with an impressive 10-1 victory over the Texas Rangers in the first fame of the American League Division Series (ALDS). It was quite a thrashing. The road to the World Series is a long one, though. There is still a lot of baseball to be played, but the Blue Birds are off to a fantastic start. It's wonderful to see Josh Donaldson back to MVP form after a hip injury and a slump. He and Jose Bautista and Edwin Encarnacion are really slugging the ball. The Jays' starting pitching has been outstanding so far. Marco Estrada pitched brilliantly yesterday, as did Marcus Stroman against Baltimore on Tuesday. As you can tell, I am thrilled about how things have gone so far for my team. At the risk of being called a nitpicker, however, I feel obliged to draw your attention to a couple of flies in the ointment. Roberto Osuna, the Jays' closer, injured himself in the 10th inning of Tuesday's game against the Orioles. The 21-year-old Mexican was removed from the game due to a shoulder issue. It doesn't appear to be serious and Osuna is expected to play in the ALDS. The Jays are taking no chances with their young closer. He was removed from the game immediately. Yet it seems that the Jays are not entirely confident that Osuna will be able to pitch as effectively. That's why they chose to go with eight relievers in their ALDS roster. It also appears that they don't have much confidence in some of their relief pitchers either. They really miss Joaquin Benoit. It's a shame that a bench-clearing brawl with the New York Yankees resulted in an unnecessary calf injury for Benoit. Baseball's good ol' boy mentality could cost the Jays dearly, especially if Osuna's injury proves to be more serious. I am disappointed that the Jays have chosen to leave outfielder Dalton Pompey and infielder out of their ALDS roster. The team has sacrificed bench strength (and Pompey's base running speed) for the sake of the bullpen. Having said all that, however, I am hopeful that the Jays will overcome these obstacles. Osuna may be fine. Pompey and Goins may even play in the American League Championship Series (ALCS). Bring on those Texas Rangers for Game 2! No matter what happens today, the scene shifts to Toronto for Game 3. If the Jays should sweep the best-of-three series, they'll be no need for a second game at the Rogers Centre. They'll go on to play Cleveland or Boston in the ALCS. PHEW! The Blue Jays have really taken us on an exhilarating roller coaster ride. They are set to play host to the Baltimore Orioles at the former SkyDome tonight in the American League wild-card game. The place should be rocking with about 47,000 fans cheering on the home team. At times, I didn't think they would make it - but they did! They are in the post-season for the second year in a row. As usual, the victories did not come easily. They made us bite our nails. The three-game series at a cool, rainy Fenway Park was terrific. All of them were close. All of them were full of excitement and drama. Who can forget Roberto Osuna's ill-timed balk on Saturday? It allowed Boston to tie the game. Fortunately, the Jays went on to win or Roberto would have been a real goat. The tribute to David "Big Papi" Ortiz was heartfelt. The fans at Fenway sent him off in style. Several Red Sox stars walked on to the field, as well as President Danilo Medina of the Dominican Republic, Papi's home country. Papi even took a selfie of himself with Medina. Fortunately for the Blue Jays, though, Ortiz didn't get his Hollywood ending. He didn't hit a home run in his last at-bat in a regular season game. The Blue Jays have loaded up with pitchers for the big game. Marcus Stroman will take the mound as the starter for the Jays. If needed, Marco Estrada and Franciso Liriano will be available to pitch some innings of relief. R.A. Dickey, J.A. Happ and Aaron Sanchez will not be on the roster for tonight's game, though. I Keep in mind, however, that the lineup will be altered if the Jays advance to the American League Division Series (ALDS). Let's check out their roster for the wild-card game. It all comes down to one game, folks. If the Blue Jays lose, it's curtains. They are done. Finito. Wait until next year. If they win, they go on to meet the Texas Rangers. I hope the mix in a little small ball when necessary. It was great to watch Ezequiel Carrera bring home the speedy Dalton Pompey at Fenway. It's annoying to see Pompey's running and base-stealing skills wasted when he's left stranded. Hold on to your seatbelts. We could be in for one wild ride. Anything could happen, but that's baseball. Frankly, I can't wait! * Right-handed pitcher Aaron Sanchez pitched a tremendous game on Sunday against Boston. He took a no-hitter into the seventh inning. He also finished his season wit a 15-2 record and a 3.00 ERA, the best ERA in the American League. I have nothing but praise for the performance of this young man. As we head toward the finish line, the Jays seemed poised to win a wild card spot, but anything could still happen! Well, Blue Jays fans, we're headed toward the finish line. As of this writing, there are just five games left in the 2016 season. It doesn't seem likely, barring a perfect storm of good fortune for the Jays, that the Red Sox juggernaut can be stopped. Boston has already secured a playoff spot. As of this writing they are five games ahead of the Jays in the American League East. The Blue Jays have two more games against the Baltimore Orioles at home and a three-game finale with the Red Sox at Fenway Park. The Jays seem to have come out of their September slumber. They are playing much better baseball and they are actually playing some "small ball." They are bunting and stealing bases. This adjustment has helped them shake out of their horrible September swoon. I wish they had made the adjustment earlier, but at least they did it before the whole season was lost. Unfortunately, the Jays have lost the services of pitcher Joaquin Benoit for the remainder of the season. The 39-year-old veteran reliever is out indefinitely with a torn left calf muscle. He is certainly paying the price for participating in that ugly bench-clearing brawl between the Blue Jays and the Yankees on Monday, September 26. He is wearing a boot and walking with crutches. The Jays are paying the price too, and it's a steep price. Their bullpen needs Benoit. They need his experience as a relief specialist. The Jays were the big losers in that Monday night game. Not only did they lose the game 7-5 to the Yankees, but they lost two important players to injury. Joaquin Benoit was not the only injured player. Second baseman and leadoff hitter, Devon Travis was also hurt as a result of the brawl. He is day to day with left shoulder soreness. It's not certain when he will return. He missed yesterday's game and will not be in the lineup against Baltimore tonight. That bench-clearing ruckus happened because of the so-called "code," promoted baseball's good ol' boy network," It cost the Jays dearly. Here are some questions I would like to ask: Is selfish, macho pride worth losing an important player. Is it worth more than having Benoit in the bullpen for the playoffs? You look around baseball, really any sport, and guys are animated. Guys are more emotional than they’ve ever been. TV promotes it. Everybody loves it. They love to focus on that. Unfortunately, John Gibbons, the Blue Jays' good ol' boy manager, has no problem with players clearing the benches, even if it ends up costing his team two key players. "We have some emotional guys," stated Gibbons. "Teams pitch us inside. No doubt about that." Yes, Dalton Pompey is part of the expanded September roster. However, his role has been mostly limited to pinch-running. In 2016, the 23-year-old Canadian has played in six games and has only had two at bats for the Jays. We all know that Pompey is fast and that he excels at stealing bases. It seems that every time he is used as a pinch runner, he steals bases but no one can bring him home. Does Pompey have a future with the Blue Jays? Outfielders Jose Bautista and Michael Saunders are both free agents. They may both be gone next season. Where does that leave the outfield? Kevin Pillar, Ezequiel and Melvin Upton, Jr. remain, but where does Pompey fit in? The Jays don't appear to have much confidence in his ability to swing the bat well. However, they can't keep him in Buffalo for much longer. If he's not going to play a role in 2017 and beyond, will the Jays trade him? How is he going to get big league batting experience if he continues to get few at bats? Big series with Boston begins tonight. Can the Jays pull out of their slump? The Toronto Blue Jays are in some kind of a funk. Their official website says that they are down but far from out. However, the team is in dire need of some wins after being swept by the New Yankees at the Bronx Zoo over the weekend. Don't look now, but the Pinstripes are back in the race, aided and abetted by the Blue Jays lacklustre play at Yankee Stadium. New York is only four.games back of Boston. By the way, the Jays should have won that second game at Yankee Stadium on Saturday. Gibby kept Jason Grilli on the mound one pitch too long. It was obvious that Grilli didn't have it. The Yanks were hitting everything off him. If he had been removed from the game earlier, the Jays would have emerged victorious. As it turned out, they managed a comeback in the ninth inning, but it fell short. They lost 7-6 to New York. After a much-needed day off yesterday, the Jays begin a crucial series against the Boston Red Sox tonight. How they do in this series could, to a large extent, determine their fate. We will soon see if they are up to the challenge. They certainly must be glad to be home at the dome where they will have great fan support against the Red Sox. After their three-game series with the Red Sox, the Jays are scheduled to play the Tampa Bay Rays at home on September 12th, 13th and 14th. The Rays have only won 59 games so far this season and they are in last place in the American League East - 19 games behind the division leading Red Sox. Yet, for some inexplicable reason, Tampa Bay has the Jays' number.and Tropican Field has been a house of horrors for them. Their record against Tampa Bay at home isn't so great either. They don't do well against the Rays period. So, what is wrong with the Jays right now? I wish I had the answer. I'll I can say is that something is not clicking. The pennant race is heading into the final stretch and this is the worst possible time for the Blue Jays to be in a slump. There is no need to press the panic button, though. After all, they are only one game behind the Red Sox. There is, however, serious cause for concern. They can't afford to fall further behind. The Jays have two major problems that have yet to be addressed. The first problem is that they depend too much on the long ball. The second problem is that their left-handed relief pitching is weak. If they don't improve in those two areas, their goose may be cooked. So much depends on how well Brett Cecil plays and how well they hit in the clutch. They'll have to bring base runners home. They just have to make contact sometimes. It doesn't have to be a choice between a home run and a strike out. * The Jays will end their 2016 regular season with a 3-game series against the Boston Red Sox at Fenway Park. If those two teams are still battling it out, that could be quite a finish, full of drama and excitement for the Jays and their fans. * Catcher Russell Martin is day-to-day with a knee injury. How sweet it right now! It's the morning of August 29th and the Toronto Blue Jays sit atop the American League East standings. They have 74 wins and 56 losses with a .569 win percentage. The Boston Red Sox are two games behind the Jays and the Baltimore Orioles are three games back. The Jays have just swept a weekend series against the hapless Minnesota Twins and Josh Donaldson hit three home runs yesterday's game. Fans celebrated Donaldson's "hat trick" by throwing caps onto the field. However, the race is far from over and there is still a lot of baseball to be played. Boston and Baltimore are lurking right behind. Don't count those New York Yankees out either. although it's highly unlikely they'll make the playoffs. The Yanks are 6.5 games out and they are a longshots. I really think the battle will be between the Jays and the Boston Red Sox. September and October should be a heck of a lot of fun. Reunited and it feels so good. . .Switching-hitting catcher Dioner Navarro has returned to the Jays. The team re-acquired the 32-year-old Venezuelan from the Chicago White Sox for minor league pitcher Colton Turner. The move makes a great deal of sense on many levels. First and and foremost, it will lighten Russell Martin's workload during the final stretch of the season. It may also help pitcher Marco Estrada, who has been struggling lately. Estrada works well with Navarro, although so does Martin. In addition, Navarro will provide some bench strength for the Jays. He will also provide them with some catching depth and some other options. They can be creative as to how and when to use him, although don't expect him to be a pinch runner (Ha! Ha!). Navarro is a good man to have around the clubhouse and will boost team morale. In order to make room for Navarro on the 25-man roster, Josh Thole has been placed on irrevocable waivers. That means he will be the property of any that claims him within the e 48-hour waiver period. If no team claims him, it is expected that the Jays will re-sign him in time to add him to the lineup when rosters expand on September 1st. Then he will be able to catch R.A. Dickey's knuckle ball for the remainder of the season. Now that the Jays have addressed their catching problem, they have two problems that must be dealt with if they are to reach the post-season and compete successfully in the playoffs. They desperately need another left-handed pitcher in the bullpen. On Saturday, lefty reliever Aaron Loup was designated for assignment and right-hander Bo Schultz wall called up to replace him. Manager John Gibbons, however, stated that Loup's demotion was just a technicality and that the Blue Jays intend to keep him. With their lack of left-handed relievers, I guess the team doesn't have much choice right now. Yet Loup has not performed well this season and his statistics bear this out. In 9.2 innings with the Jays, he has a whopping 7.5 ERA. He gave up three runs in Friday's 15-8 victory over the Minnesota Twins and Gibby has not used him in crucial situations recently, displaying little confidence in his ability to shut another team down. On Friday, it appeared as if Loup was allowed to finish the game so that other relievers could rest up for the next game. If the Blue Jays are going to do well in the playoffs, they will need better left-handed relief pitching. It will be interesting to see if the team is able to broker a deal for another southpaw reliever before the playoffs. A lack of good left-handed relief pitching really hurt the Jays in the post season last year, especially after Brett Cecil was injured. The Jays also need to play better small ball. They still leave too many players stranded on the bases. That really hurt them when they played Kansas City for the American League championship last year. * The Jays begin a new series with the Baltimore Orioles tonight. Marco Estrada will be on the mound and will try to get back on track after two disappointing outings. This will be an important showdown in the race for the American League East pennant. The Jays will be the visiting team at Camden Yards in Baltimore. There won't be more than 46,000 friendly fans cheering them on, although I'm sure a hefty contingent of Jays fans will make the trek to Baltimore to lend them support. There will certainly be waves of blue in the crowd. * Dioner Navarro will be with the team tonight for the first since the Jays re-acquired him. This is certainly an exciting time for the Toronto Blue Jays and their fans. It's early August and the Trade Deadline has come and gone. The dog days of summer are upon us and the American League East pennant race is starting to heat up. It will soon be sizzling and I can hardly wait. It looks as if there's going to be a three-way battle between Toronto, Baltimore and Boston. At the moment, Baltimore is playing really well and appears to be the team to beat in this hotly contested division. The Orioles currently sit atop the AL East with a record of 63 wins and 47 losses. They have a winning percentage of .573. The Blue Jays are one game back of Baltimore with a record of 63-49 and a winning percentage of .562. Meanwhile, the Boston Red Sox follow close behind.with a record of 60-50 and a winning percentage of .545. They are 3 games behind Baltimore. The Baltimore Orioles definitely have a good team and a wonderful ballpark. What puzzles me is why attendance at Camden Yards has been so low this year. At the moment, the Orioles rank 10th out of the 15 American Leagues teams in attendance. They have been averaging only 26,826 per game so far this season. I wonder why isn't there more fan support for a team that has been playing so well at a magnificent ballpark. One of the biggest controversies surrounding our home Blue Jays has been the Aaron Sanchez situation. All season long, the Jays insisted that Sanchez was eventually going to the bullpen, despite his fine record as a starter. 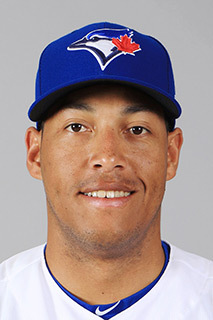 I am pleased that the Jays finally decided to keep him in the starting rotation - at least for now. Russell Martin was quite vocal about his opposition to putting the young right-hander going to the pen. Martin's opinion must have carried some weight with Blue Jays brass. After all, a veteran catcher like Russell should know his pitchers. Although I am an ardent Blue Jays fan, the team really frustrates me at times. What bothers is the inability of the Toronto players to drive in runs.. August 1st's game against the Houston Astros was a perfect example. Marcus Stroman, who started the game for the Jays, pitched a gem. Unfortunately, he received very little run support and the Jays wasted his career-best 13-strkeout performance. The 25-year-old right hander's only blemish came in the sixth inning when he allowed a left-field home run to Jose Altruve of the Astros. Russell Martin tied the game with a home, but the Jays lost in extra innings. The Blue Jays have a lot of power hitters. I think that's great. The problem is that they rely too much on the long ball. Too often it's feast or famine. They either hit it out of the park or they strike out. team leaves far too many runners stranded on the bases, especially when the bases are loaded. That weakness proved very costly for them in the playoffs last year. The Jays's strike out far too often. Outfielder Michael Saunders, for example, is good hitter who strikes our too frequently. As of this writing, Saunders has a 272 batting average with 19 home runs and 47 RBI. However, he has struck out 118 times in the 100 games he has played this season. The newly-acquired Melvin Upton is another example of a Blue Jays who strikes out too much. * Toronto Star baseball columnist Richard Griffin doesn't think the Jays will have enough room in their payroll to sign both Jose Bautista and Edwin Encarnacion next season. Neither do I. If they have to choose one, I think they should keep Edwin. Bautista is still a great power hitter but I think his defensive skills have declined. He's also asking for more money than the Jays are willing to part with. I certainly wouldn't want to see Edwin in a Red Sox uniform. We all know that Boston is just salivating at thought of having E.E. replace the retiring David "Big Papi" Ortiz. * The Jays have a poor record in extra inning games so far this season - only four wins and eight losses. They have to do better in that department down the stretch in order to win the AL East. Major League Baseball is gearing up for its annual All-Star Game between the American League and the National League. The game will be held in San Diego on Tuesday, July 12, 2016. As the regular season shuts down for the All-Star break, let's take stock of where the Toronto Blue Jays find themselves at this juncture. The Jays defeated the Detroit Tigers yesterday by a score of 6-1, so they head to the break on a winning note. They have completed more than half the number of games in the 162-game season and have a record of 51 wins and 40 losses in the 91 games they have played. Their win percentage is .560. As I write this, they are two games back of the first place Baltimore Orioles. The Boston Red Sox are also two games behind the Orioles, but have played fewer games than the Jays. Hence, the Red Sox have a slightly higher win percentage (.563) than Toronto. The Blue Jays are in a favourable position to contend, but they will have to ramp it up in their remaining 71 games. They will need to play extremely well in order to surpass Baltimore and Boston in the standings. Getting into the playoffs via an Wild Card spot would be good, but winning the Al East again would be preferable. That's obvious. This season, the Jays do not have the luxury of trading for a David Price or a Troy Tulowitzki. They depleted their contingent of young pitching prospects in order to make their amazing post-season run last year. Fans can't expect anything similar to happen after the All-Star break or before the July 31st trade deadline. That does not mean that the team will not or should not make any improvements. The Jays are in a position to make a run for it, so they should not sit idly by and they should spend the money on sensible moves that would bolster their chances. For example, the bullpen has improved considerably since the addition of veteran Jason Grilli and the return of lefthander Brett Cecil. It could be further improved. Another lefty would help, just in case Cecil has another injury. When Cecil got hurt during the playoffs last fall, the lack of a reliable lefty really hurt the Jays. After the All-Star Game, the AL East race should really heat up. Will the Orioles continue to stay on top. If they don't, there could be quite a race down the stretch between the Jays and the dastardly Boston Red Sox. We Jays' fans would really enjoy that, wouldn't we. It would be a chance to come out on top of David Price, John Farrell and company. According the the injury report on the official website of the Toronto Blue Jays, right fielder Jose Bautista is expected to return sometime in late July. He was placed on the DL after suffering an injuring to the big toe on his left foot. As of July 9th, he was no longer wearing a walking boot and was taking swings off a tee. Thankfully, during Bautista's absence, the outfield has been well-served with Michael Saunders, Kevin Pillar, Ezequiel Carrera and Junior Lake. * I attended that 19-inning marathon between the Blue Jays and Cleveland on Canada Day. It was a game I'll never forget. It began at 1 p.m. and by the time I left Rogers Centre, it was almost 7:30. Yes, I stayed right till the bitter end. I just had to see how it would turn out. Alas, the Jays lost 2-1 with a little assistance from the umpire. Their inability to to ring runners home, however really cooked their goose. I sat there in astonishment as the Jays kept leaving runners stranded. I watched infielders Ryan Goins and Darwin Barney take the mound. Goins gave a good account of himself and didn't allow any runs to score. Unfortunately, he injured his arm and was placed on the 15-day DL. Too bad Edwin Encarnacion was tossed out in the first inning for arguing home-plate umpire. His absence from the rotation may have cost the Jays the game. Without Encarnacion for protection, Cleveland probably wouldn't have intentionally walked Josh Donaldson at one point when the Jays were threatening. Manager John Gibbons and catcher Russell Martin were also ejected from that emotional game. The Jays had issues with umpire Carapazza's strike zone, as did the fans. The crowd of over 45,000 booed Carpezza throughout the game. * Five Blue Jays have been named all-stars: 2015 American League MVP Josh Donaldson, designated hitter Edwin Encarnacion, outfielder Michael Saunders and pitchers Marco Estrada and Aaron Sanchez. Marco Estrada's selection to the All-Star roster was bittersweet. He won't be able to play because he is on the 15-day disabled list with a bad back. The good news is that the All-Star break will provide Estrada with some time to rest his back. He won't have to miss as many starts due to the break. Another piece of good news is that Marco's teammate and fellow pitcher, Aaron Sanchez, is a first-time all-star. Sanchez was chosen to replace Boston Red Sox closer Craig Kimbrel. Kimbrel injured his left knee on Friday and underwent surgery to repair a torn cartilage today. He will require three to six weeks to recover, according to a statement released by the Red Sox. However, ESPN reporter Scott Lauber thinks that "after a rehabilitation and a minor league assignment, it's possible he won't resume pitching in big leagues games until September." * Aaron Sanchez is worthy of all-star status. In 18 starts, he has a record of nine wins and one loss. His earned-run average is .297. * Josh Donaldson is definitely on course win a second consecutive American League MVP title. Barring serious injury, if Donaldson continues to play the way he's been playing up to this point in the season, it's hard to imagine that he won't repeat. In yesterday's 6-1 victory over the Detroit Tigers, Josh slammed his 23rd home run of 2016 and became just the sixth player in American League history to hit 20 home runs and score 80 runs before the All-Star break. With that accomplishment, he joins such stellar company as Lou Gehrig (1936), Ted Williams (1946), Reggie Jackson (1969), Frank Thomas (1994) and Alex Rodriguez (2000). Not to shabby, eh? After looking red hot, the Toronto Blue Jays have cooled down a bit. On Thursday, June 16th, they crushed the Philadelphia Phillies by a score of !3-2. On Friday, June 17th, they trounced the Baltimore Orioles by a score of 13-3. In those two games, the Jays scored a whopping 26 runs. On Saturday, June 18th, however, they came crashing down to earth, Their four game winning streak cane to an end and they were beaten two games in a row by the Orioles. The Jays lost yesterday's game by a score of 11-6 despite a pair of two-run homers, one by Devon Travis and the other by Troy Tulowitzki. Marcus Stroman's performance in yesterday's game was worrisome. He only lasted 3 2/3 innings, allowing seven earned runs. His ERA has ballooned to 5.23, obviously not what you want from Stroman at all. That kind of an outing puts a lot of pressure on the bullpen too. At the moment, Marco Estrada is the Jays' best starting pitcher. Estrada has allowed five hits or fewer in 10 consecutive starts. That's a franchise record, folks. Toronto is still in a three-team race in the American League East with Baltimore and the Boston Red Sox. However, the two losses against the O's at Camden Yards were costly. They lost some ground to the Orioles and the Red Sox. Baltimore remains in sole possession of first place in the AL East with a 40-28 record (5.88). Boston is one game back at 38-29 (5.74). The Jays have fallen to three games back at 33-29 (5.42). The Baltimore Orioles look really good this season. They are a balanced team and they currently lead Major League Baseball with 26 wins at home. On Saturday, I attended the Canadian Baseball Hall of Fame induction ceremonies in St. Mary's, Ontario, between London and Stratford. Beautiful St. Mary's is a must for Canadian fans. If you can make the drive out there, I strongly recommend it. Five new members were inducted: Canadians William Shuttlesworth and Howard Starkman, Americans Tony Kubek and Pat Hentgen, and Dennis Martinez, the first major leaguer from Nicaragua. Shuttlesworth, born in Brantford, Ontario in 1834. He has been called the "Father of Canadian baseball for his contributions to the sport in this country as an organizer and player. Toronto-born Howard Starkman has been a Toronto Blue Jays executive since the formation of the team, He was originally hired as director of public relations in July of 1976. Milwaukee-born Tony Kubek spent nine years as a player with the New York Yankees before turning to broadcasting. He played in six World Series during the late 1950s and early 1960s. He broadcast Blue Jays games from 1977 until 1989. Michigan native Pat Hentgen pitched for the Jays from 1991 to 1999 and again in 2004. 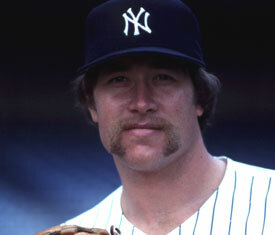 He won the Cy Young award in 1976. Hentgen is currently a special assistant in the Blue Jays organization. Dennis Martinez, nicked-named "El Presidente," pitched for the Montreal Expos from 1986 to 1993. On July 28, 1991, Martinez pitched a perfect game for the Expos against the Los Angeles Dodgers, becoming the first Latin American-born pitcher to accomplish that feat. The inductees and family members were in attendance except for the long-deceased Shuttlesworth and Tony Kubek who was ill. Former sports broadcaster Fergie Olver accepted on his behalf and also read a letter of thanks from Tony. There was a a large contingent of Expos fans at St. Mary's. I really believe there is strong support for a return of a major league baseball team to Montreal and that it is just a matter of time and the money needed to build a new stadium in the city. I also saw Hall of Fame pitching great Ferguson Jenkins at St. Mary's. He was autographing books and other memorabilia. When I mentioned how well his former team, the Chicago Cubs were doing this year, Fergie seemed skeptical. He pointed out that it was too early to talk about the Cubs in the World Series with only one-third of the season having been played. He's right. It is premature, but the Cubbies sure look good. The Jays' one-sided victory over the Orioles last Friday was a memorable game for Canadian left fielder Michale Saunders. Saunders hit three home runs for the Jays, becoming the fourth Canadian to complete the home run hat trick. The others are Larry Walker, Justin Morneau and Joey Votto. Saunders, however, is the only one to do it for a Canadian team. He also recorded eight RBIs. Veteran reliever Jason Grilli is a welcome addition to the Jays' bullpen, but the 'pen remains a work in progress. 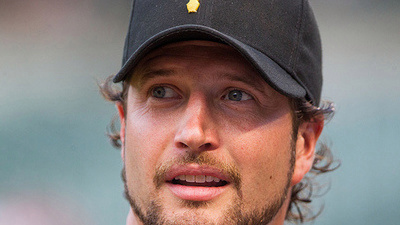 The 39-year-old Grilli was acquired in a trade with the Atlanta Braves and his experience and leadership are definitely needed. Jason's father, Steve Grilli, was also a major league pitcher. The elder Grilli spent much of his career as a member of the Detroit Tigers, but pitched for the Blue Jays in 1979. * Slugger Jose Bautista is on the 15-day disabled list. In June 16th's pounding of the Philadelpia Fillies, Bautista injured his left big toe while chasing a fly ball at Citizen's Bank Park. He slammed into the right field wall and limped off the field in pain. There is no timetable for his return yet. Jose travelled to Charlotte, North .Carolina today to undergo further tests on his toe. After that, the Blue Jays should have a better idea when he will be ready to return. In the meantime, it's great to have Ezequiel Carrera in the outfield. 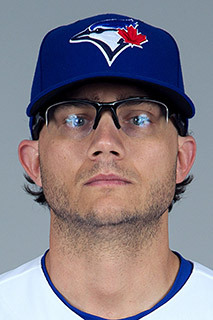 * Brett Cecil, is a step closer to returning to the lineup after being placed on the 15-day disabled list last month. The 29-year-old left-handed reliever is in Dunedin, Florida rehabbing from a left triceps strain. On Saturday, he participated in simulated game against a group of players who are in Dunedin working out, including some of the Blue Jays’ 2016 draft picks. The Jays desperately need Cecil to return to form because they are thin in lefty relievers. Southpaws Aaron Loup, Chad Girodo, Ryan Tepera and the ambidextrous Pat Venditte have not inspired a lot of confidence. * After a much-need day off, the Blue Jays begin a series against the Arizona Diamondbacks at home in the dome tomorrow June 21st. It's almost the end of May and the Blue Jays are mired in third place in the American League East. As of this writing (May 30th), they are merely a .500 team. Thy have a 26-26 record and they are five games back of the league leading Boston Red Sox, who have a 30-20 record (.600), The Baltimore Orioles are one game back of the Red Sox with a 28-20 record (.583). The Jays have played 52 games and there are still 110 games remaining in the 162-game season. It may seem as if there is still plenty of time, but the team is going to have to vastly improve, particularly at home, if it hopes to contend in the competitive AL East. The Blue Jays have a losing record at Rogers Centre, where they have a record of 11 wins and 14 losses. They have performed better on the road (15 wins, 12 losses). "But the young second baseman (Devon Travis) has been manna from heaven since he returned to the Jays' lineup from a protracted DL stretching way back to last season. How very much the team has missed him." Ryan Goins has been struggling at the plate, so the return of Devon Travis has helped tremendously. The hitting, however, is still inconsistent and sporadic. It is not nearly as outstanding as it was last season. Of more concern, though, is the state of the bullpen. It seems as if the only reliable relief pitchers are Robert Osuna and Joe Biagini. Biagini has really impressed. Along with the pitching rotation, he has been a bright spot for the Jays this year. Unfortunately, Drew Storen has been disappointing so far. The right-handed reliever has a whopping 7.02 ERA to date. Meanwhile, Storen's fellow relief pitcher, Gavin Floyd, has played poorly in his last two games. Last night, for example, the Jays had a chance to sweep the first place Red Sox at home, but Floyd struggled with his command in extra innings. As a result, the Jays were defeated by a score of 5-3. * An MRI revealed that left-handed reliever Brett Cecil has a tear in his lat muscle. Cecil was placed on the 15-day Disabled List on May 15th. According to the injury report on the Toronto Blue Jays' official website, he is due back "possibly mid-June." If Cecil could return to last year's form, that would really help the bullpen, but who knows? * Speaking of Brett Cecil, he's a new father. On May 9th, he and his wife Jennifer welcomed their third child, a daughter named Braelynn Natalie, to the family. The couple already have two young sons and a dog. * On May 28, shortstop Troy Tulowitzki was also placed on the 15-day DL with a right quad strain. According to the official website, Tulo is also expected to return "possibly mid-June." * The Toronto Blue Jays begin a 3-game series against the New York Yankees at home tonight at the dome. Marco Estrada is on the mound for the Jays. Let's hope the team gives him some run support. After a lacklustre April, and a mediocre May (so far), the Toronto Blue Jays have yet to live up to their potential in 2016. It's true that their record in April was similar to last season's. They did manage to turned it around last year, but that's going to be much more difficult task this season. There won't be any blockbuster trades this summer. Most of their best prospects were traded away to obtain Troy Tulowitzki and David Price. One of the few bright spots this season has been the starting rotation. It has been better than expected.. Marcus Stroman, who recently celebrated his 25th birthday, has particularly impressed me. In eight starts, he has a sterling 4-0 record and seems to be settling in as the Jays' number one starter. If he continues in this fashion he will be a bonafide ace. Marcus Estrada must be really frustrated. For some reason, the Jays have given him very little run support. His ERA is 2.89, but he has only managed to win one game in seven starts. He has recorded one loss and five no decisions. Although R.A. Dickey was slow coming out of the gate, his last outing was much improved. He's a workhorse and he should continue to eat up innings. Obviously, I'd still rather have Noah Syndergaard in the rotation and a better back-up catcher than Josh Thole. It still pains me to think what might have been. Sundays's donnybrook in Texas, featuring Jose Bautista and Rougned Odor, provided a field day for the media and it was replayed countless times. Unfortunately, the fracas between the Jays and the Rangers detracted from the real issues surrounding this Toronto team. Everyone expressed an opinion about the melee, but no one discussed the Jays' lack of clutch hitting and their bullpen problems. The bullpen, with the exception of Roberto Osuna, has been a huge disappointment so far. I think "disastrous" would be a better word to describe it. On Sunday, left-handed relief pitcher Brett Cecil was placed on the 15-day disabled list with a left triceps strain. Cecil pitched so well for most of last season. After a slow start, he became their most dependable reliever. In the playoff series against the Texas Rangers, he tore his left calf muscle while tagging Rangers' Mike Napoli in a run down. He was severely missed by the Jays for the rest of the playoffs. Their lack of left-handed relief pitching was a major reason why they failed to overcome the Kansas City Royals and go all they way to the World Series. This season, Brett Cecil has not pitched well at all. He has an 0-5 record so far, with a 5.23 ERA. The Jays have really needed him in the bullpen, but he just hasn't done the job. Perhaps he hasn't made a good recovery from his injury. Adding to the bullpen misery has been the poor performance of Jesse Chavez. The Blue Jays traded right-hander Liam Hendricks, who had a 2.92 ERA last season to the Oakland A's for Chavez. After struggling through 11 games with a 8.27 ERA, Hendricks is currently on the 15-dqy disabled list with a strained right tricep muscle. Relief pitchers can be unpredictable and injury-prone. That's why the Jays should have more depth in left-handed relievers. Regrettably, during the off-season, they failed to acquire more reliable left-handed relief pitching. Thy could use some speed on the bases too. They lost some of that with the departure of outfielder Ben Revere Dalton Pompey is a very fast runner, but he needs to play every day. He can't do that with the Jays, so he remains in Buffalo. The Blue Jays are a team in trouble. If they don't improve soon, someone is going to pay the price. Manager John Gibbons is the obvious sacrificial lamb. Although the Jays are bound to get better eventually, I don't anticipate it will happen soon enough to save Gibby - not with the current bullpen. Once Gibby is out the door, Mark Shapiro and Co. will install their own handpicked successor. The Cleveland takeover of the Toronto Blue Jays will be complete. Thank goodness the e return of second baseman Devon Travis is imminent. Travis is on a minor league rehab stint with the Dunedin Blue Jays. His return will be welcome news for the beleaguered Blue Jays. They could really use his bat. Last season, the Jays were a team with no shortage of hitting power. The slugging was expected to continue this year. It hasn't. Aside from a few breakout games, the Jays have seemed like a shadow of themselves at the plate. Bring on the Red Sox! It's the 2016 home opener! Okay, Toronto Blue Jays! This season's home opener will take place today at the stadium formerly known as SkyDome. Our heroes have returned after splitting a four-game series against those pesky Tampa Bay Rays. So now it's time to face David Price and the Boston Red Sox. Bring them on! According to the latest reports, MVP third baseman Josh Donaldson, hopes to be able to play. Donaldson incurred an injury during the seventh inning of Wednesday's game He was removed from the field after straining his right calf muscle and did not participate in Thursday's on-field workouts at the stadium currently known as Rogers Centre. Blue Jays manager John Gibbons was optimistic that his star player will be ready. "To be honest," said Gibby, "I think he'll be out there tomorrow night," "He's feeling better today, but we have to wait until tomorrow to see. If it's worth giving him a day or two, if he needs that, it would be smart to do that, but I don't think that's going to happen." I'm relieved that Donaldson's injury doesn't seem too serious. Here's hoping that's the case. However, I have some other concerns after the Blue Jays-Tampa Bay series in Florida. I know that the season has just begun, but the Jays' bullpen hasn't impressed me so far. The relievers didn't look particularly sharp in Wednesday's loss to the Rays. If this continues, changes will have to be made. The Jays' catching situation worries me too. What will happen if Russell Martin is injured? Backing up Martin is the light-hitting Josh Thole. Then there is Tony Sanchez who is a question mark. As for the oft-injured A.J. Jimenez, he remains with the Buffalo Bisons after passing through waivers. At 25 years old, Jimenez remains a prospect without major league experience. He's another question mark. John Gibbons is a good ol' Texas boy. He isn't much interested in being politically correct and he proved it by making a decidedly sexist remark. Last Tuesday, Gibbons became upset after the Blue Jays lost a close 3-2 game to Tampa Bay, They lost due to a game-changing replay involving an illegal slide by Jose Bautista in the ninth inning. Some claim the new takeout slide rule is unfair. Nevertheless, the rule was enforced and the controversial call turned the Jays' go-ahead run into a double play victory for the Rays. "That's flat-out embarrassing," declared a frustrated Gibby. "That cost us a chance to win a major league game." "You know what," he added, "maybe we'll come out wearing dresses tomorrow. Maybe that's what everyone's looking for." Gibbons refused to apologize for his remark. He said "the world needs to lighten up a little bit" and that he was just trying to infuse some humour into the situation. He also stated that his comment had "no malicious intent" and that it didn't offend his mother, his daughter or his wife. Hmmm . . . I wonder if anyone has asked them? * On opening day, fans will get their first look at the new dirt infield at the Rogers Centre. That will be an improvement, but real grass is still needed. * Marcus Stroman and Aaron Sanchez have impressed so far. Stroman will be on the mound for the home opener. This season, he has the opportunity to prove that not only is he the Jays' number one starter but that he's a genuine "ace." His performance could go a long way in helping us forget about the loss of David Price. How will the Jays do in 2016? How optimistic am I about the Toronto Blue Jays' 2016.season? I won't make any firm predictions because there are too many variables. Based on the pitching the Jays had last spring, I would never have expected them to come so close to a berth in the World Series. Who could have foreseen that Marco Estrada would have such a great season or that Alex Anthopoulos would sign an ace like David Price? Too many things can change. That's why I'm not big on preseason prognostications. I will say, however, that if the Jays remain reasonably healthy, they should be a solid contender for a playoff spot. They still have a really potent offense with sluggers such as Josh Donaldson, Jose Bautista (at least for now) and Edward Encarnacion. Pitching is definitely the big question mark. The Jays will face some formidable competition in the American League East this year. Both the Boston Red Sox and the New York Yankees have improved, On paper, both teams have better pitching than the Blue Jays. However, we'll have to wait and see what happens on the field. That's what really matters. The Jays certainly have more depth this year, however I'm concerned about an injury to Russell Martin. If that happens, they had better hope AJ Jimenez or Tony Sanchez can do the job because Dioner Navarro is not around anymore. At least Martin will not have to catch R.A. Dickey's knuckleballs this season, so his health should be better. I'm also concerned about the Jays' left-handed relief pitching. That is one area where the team still lacks depth. During the playoffs last October, lefty Brett Cecil suffered an injury and lefty Aaron Loup was unavailable due to the premature birth of his child. The lack of lefties in the bullpen really hurt the Jays during the postseason. They really have to address that problem, especially now that Loup has been shut down for at least two weeks with an elbow injury. In an interview with ESPN, Hall of Fame pitcher Goose Gossage was highly critical of Jose Bautista. He denounced the Jays' right fielder as "disgrace to the game." "He's embarrassing to all the Latin players, whoever played before him," Gossage said. "Throwing his bat and acting like a fool, like all those guys in Toronto." Okay, now, tell us how you really feel, Goose! Jose Bautista, for his part, reacted responded graciously to Gossage's profanity-laced tirade, which singled out him and Mets outfielder Yoenis Cespedes . "I'm disappointed that he made those comments," said Bautista, "but I'm not going to get into it with him." "I would never say anything about him, no matter what he said about me," he added. "I have too much good stuff to worry about his comments." Amen to that! It's about time baseball lightened up. Is a bat flip so horrible? Let's have a little fun, boys! * The Toronto Blue Jays are really doing well on the Grape Fruit League circuit. It probably won't have too much bearing on the regular season, but it's a good sign. It certainly can't hurt. The team had a walk-off win in the 10th inning yesterday (March 11th), defeating their AL East rivals, the Boston Red Sox, by a score of 2-1. Marcus Stroman was impressive, throwing 4.2 shutout innings. The Jays improved their outstanding Grape Fruit record to 9-1-1. This season's spring training has just begun and already the Blue Jays have a serious problem on their hands. The face of the franchise, outfielder Jose Bautista, has stirred up a storm. Tongues are wagging and there is a great deal of speculation in the media. In February of 2011, Bautista signed a five-year/$64 million dollar contract with the team, including a $14 million club option for 2016. He was paid $8 million in 2011 and $14 million from 2012 to 2015. Last November, the Jays exercised their club option on the Dominican, but he will be a free agent in 2017. Bautista chose this time to publicly declare where he stands with regard to a future contract. He did not mince words. He was unequivocal and adamant that there would be no negotiations. The 35-year-old slugger doesn't believe that negotiations are necessary and he has informed the Jays of his salary expectations. The team knows exactly what it will have to pay its star right fielder if it intends to keep him. Rick Westhead, senior correspondent for TSN, reported that two sources close to the matter told him that "Jose Bautista is demanding a contract extension for more than $150 million a year for at least five years." Whew! 30 million dollars a year! That's a lot of cabbage, folks, even in the topsy-turvy world of Major League Baseball, where one million dollars is chump change. Richard Griffin of the Toronto Star has speculated that Bautista's demand could be even higher. Although, Bautista won't reveal the exact figure, he will say that Rogers Communications, can afford to accommodate him. Most media pundits, including Griffin, don't think the Blue Jays will pay Jose Bautista the amount of money he wants. Neither do I. As talented as Jose is, I don't think Rogers is willing to make such a huge investment in a player who will be 40 years old at the end of a five year contract. Remember too that the club also has to pay large salaries to Edwin Encarnacion, Russell Martin and Josh Donaldson. I fully expect that Bautista will be traded as soon as possible, provided the Jays can swing a deal. Given the circumstances, Rogers probably considers him a disruptive influence in the clubhouse. Even if he remains for one more season (which I doubt), he's not going to end his career in our fair city. In fact, we may never see him in a Blue Jays uniform again. The Blue Jays have already attempted to sign right fielder Jay Bruce of the Cincinnati Reds. They didn't succeed, but it is obvious that the club is preparing for the post-Bautista era. Baseball fans in Toronto will miss Joey Bats. They'll miss his swagger and his passion for baseball. He is hot-blooded and emotional. That is his nature and that is how he plays the game. However, on the outside chance that he does play one more season in T.O,, wouldn't it be bittersweet if he leads the Jays to the playoffs or even to an appearance in the World Series? * It seems much more likely that Edwin Encarnacian will remain in Toronto. He says he wants to be a Blue Jay for the rest of his career and that he is seeking a long-term deal. I certainly hope the Jays can reach an agreement with him. The team would not be the same without him and Bautista. * The Blue Jays have signed outfielder Domonic Brown to a minor league contract. Brown, 28. was a National League All-Star in 2013, his first full season in the majors. He showed great potential, hitting 27 home runs with an .818 OPS. In 2014, his numbers dropped dramatically. He hit 10 home runs and his OPS dipped to .634. Last season, Brown was plagued with injuries. He only played 63 games for the Philadelphia Phillies, hitting just .228 with 25 RBI. Instead of accepting a Triple-A assignment, he elected free agency. He has been invited to the Jays' spring training camp and, if he should regain his form, his acquisition should add to the team's depth in the outfield. It won't be easy, though. Brown will have to compete with Michael Saunders, Dalton Pompey, Junior Lake and Ezequiel Carrera for a spot. * I have to give the new Blue Jays regime credit for trying add depth at all positions. With the likelihood of injury, that is such an important factor in building a team. It is a factor to which the Jays have not paid enough attention in recent years. Have the Blue Jays made a good move in signing catcher Tony Sanchez? The Toronto Blue Jays announced yesterday that they'd signed catcher Tony Sanchez to a minor-league deal with an invitation to spring training. The 27-year-old has played 51 games at the major league level, batting .259/.303/.378 with four home runs and 18 RBI. He threw out 30 base stealers. Born Jorge Anthony Sanchez in Miami, Florida on May 29, 1988, Sanchez attended Miami's Killian High School. He later studied at Boston College where he was a very productive hitter for the Boston College Eagles. In the 2009 MLB draft, he was selected fourth overall by the Pittsburgh Pirates. Although Sanchez has struggled to make a mark in the majors, he has a good record in 313 games at the Triple-A level hitting .248/.342/.415 with 32 home runs, 160 RBI In addition, he threw out 22 percent of base runners. Tony, who bats right and throws right, spent most of the 2015 season with the Indianapolis Indians, the Pittsburgh Pirate's Triple-A affiliate in the International League. The Sanchez deal provides the Blue Jays some depth behind the plate. The departure of Dion Navarro left the team very thin with catchers. The back up to first string catcher Russell Martin is light-hitting Josh Thole. Thole is there because he can catch R.A. Dickey's knuckleballs. I have been concerned about what might happen if Martin were to suffer an injury. The team would find itself in serious trouble. There would be a scramble to find a decent catcher in a hurry. Tony Sanchez may not be the answer, but at least he's a possibility. The team is better equipped than before to handle an injury to Russ Martin. Who should be lead off hitter for the Blue Jays in 2016? Some fans were dismayed when Ben Revere was traded for relief pitcher Drew Storen, They were upset at the loss of the Jays' lead off batter. They wondered who would replace Revere in that role. Well, I don't think it's going to be a serious problem. The team has plenty of players who can fill that void. Devon Travis or Michael Saunders would be good choices. Travis, however, is recovering from shoulder surgery and will not be ready to start the season in April. Barring a setback, he will likely return sometime in May. Shortstop Troy Tulowitzki is a possibility for lead off batter, at least until Travis is able to play again. I'd be reluctant to select him, though. I don't think Tulo really wants to hit lead off and did not look comfortable in the role last season. He is more effective batting fifth in the order. Another possibility is that the Jays could start the season with Michael Saunders as lead off hitter. If Saunders does not do well, he can easily be replaced. For example, right fielder Jose Bautista would also have to be given consideration. Another possibility is outfielder Kevin Pillar, who has expressed interest in the job. * The Toronto Blue Jays have announced that they will have a regulation dirt infield in place at Rogers Centre in time for the 2016 season. That's good news. It's about time, too! It's much safer for a players such as Troy Tulowitzki to run on dirt than on concrete. The change should have been made a long time ago, but better late than never, as the old adage goes. Although the dirt infield will be a significant improvement, fans and players should not be satisfied until the artificial turf is replaced by a real grass field. The Blue Jays' former president, Paul Beeston, was hopeful to have a grass surface installed before the 2018 season. Unfortunately, Beeston's successor, Mark Sharpiro, stated that the grass surface is not a high priority right now. I beg to differ, Mr. Shapiro. I think the health and safety of the players should be a high priority. 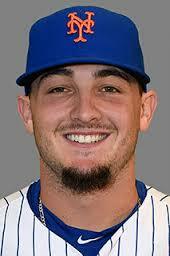 * On February 2, the Jays acquired outfielder Darrell Ceciliani, 25, from the New York Mets for a player to be named later. Ceciliani hit .206 with one home run and five steals in 68 at-bats during his rookie year in 2015. He had a batting average of .345 with 19 doubles, four triples, nine home runs and 16 steals in 70 games with the Las Vegas 51s of the Pacific League, the Mets' Triple-A affiliate. He was selected by the Mets in the fourth round of the 2009 draft. The speedy Ceciliani adds some always-needed depth to the Jays' outfield. He's expected to spend most of the season with the Buffalo Bisons, although he may turn out to be very useful in the event of an injury to one of the Jays' regular outfielders. The Toronto Blue Jays have introduced their new spring training cap. It's the cap on the right and I have to give it a big THUMBS DOWN. I think that the majority of fans will too. The royal blue cap on the left was first worn by the Jays in 2013 and there is nothing wrong with it. Unfortunately, it has been replaced by a dark navy blue cap. 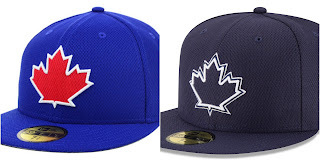 Although the maple leaf emblem remains on the front of the new cap, it is no longer red. It is dark navy blue with a white trim. * First of all, the Jays' traditional colour is royal blue. The dark navy blue is closer to black than blue. It's the same colour as the New York Yankees' cap. When will the Jays learn that a team called the Toronto Blue Jays should be wearing blue. Remember that during the lost years of the J.P. Ricciardi era. the word "blue" was removed from the front of the team's black uniforms. 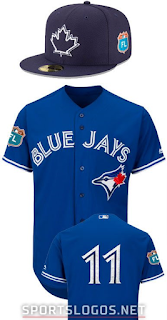 The blue jay in the "Jays" logo was more menacing and there was no maple leaf. That uniform was not popular and it is still a reminder of the failure of those wilderness years. 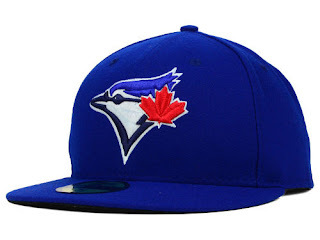 * My second objection is to the colour of the maple leaf on the new spring training cap. It should be a beautiful bright red, like the one on the Canadian flag. I ask you, whoever heard of a dark, navy blue maple leaf? Okay, okay! The leaf on the logo of the Toronto Maple Leafs' uniform is blue, but at least it's not a really dark, navy blue. It actually looks good. * My third and final objection is that the colour of the new cap does not go with rest of the uniform. I roll my eyes and scratch my head when I look at it. Yes, fans, the jersey remains royal blue. That means the navy blue cap is matched with a royal blue jersey. It makes me cringe. Whatever happened to basic colour coordination? The new spring training cap is definitely a flop and I contend that it is poorly designed. I rest my case. The verdict: Guilty. The sentence: Those responsible should be required to complete a course in the fundamentals of design and colour coordination. We Will Miss You, Kawasaki! Pro athletes usually become fan favourites for their excellence inside the lines of play - but there are exceptions. Case in point, Munenori Kawasaki. On Thursday, Toronto fans learned that their beloved infielder would be heading to Chicago to play for the Cubs after three seasons with the Jays. How did a career .234 hitter with just one home run and 50 RBI wedge his way into the hearts of Blue Jays' fans? Don't let the stats fool you. "Muni" will be with the Cubs in Spring Training, and if the utility infielder ever does make it to Wrigley Field, fans will go crazy over his unbridled enthusiasm. 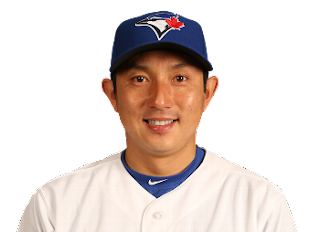 When 34 year-old Munenori Kawasaki, signed a minor league deal with the Chicago Cubs on Thursday, the Blue Jays lost more than a middle-of-the-road utility infielder. The answer to how Kawasaki "wedged his way into the hearts of Blue Jays' fans" lies not in his statistics, but in his personality. It lies in his smile and in his enthusiasm. It lies in the way he enjoys the game of baseball and how he strongly supports his teammates. He may speak halting English, but he sure knows how to communicate. Fans want to see him play. They want to cheer for him. He brings people to the ballpark because he makes the game more fun. That's why, if he does play at Wrigley Field,, Cubs' fans will "go crazy over his unbridled enthusiasm," as Dan Cahill predicts in the Chicago Sun-Times. With Kawasaki's departure, Darwin Barney will be the Jays' primary utility infielder this season. Although Barney will produce better statistics than Kawasaki, he will never be as much fun. The man from Japan played a mere 23 games last season, but his presence will be missed. Some commentators dismiss Kawasaki's importance because of his lacklustrre statistics, yet the fans don't.see it that way. They come to the ballpark to have fun. Munenori Kawasaki spent three seasons in Toronto and he will take a permanent reminder of his time here with him. That's because his first child, a son, named Issho, was born in this city on August 16, 2013. Canadian fans will remember how the proud father smiled and declared, "He's a Canuck, eh?" That's how Kawasaki "wedged his way into the hearts of Blue Jays; fans." Chicago, you are in for a treat. Using salary arbitration with a player isn't necessarily the worst thing a major-league team can do, but clubs usually prefer to avoid the process. It is literally contentious and sometimes contemptuous and, often, it gets personal for the players. The Blue Jays are going to arbitration with their outstanding third baseman, Josh Donaldson. Donaldson is asking for $11.8 million this season, while the Jays are offering him $11,350,000. It's a difference of $450,000. In the real world, $450,000 is an enormous amount of money, but in the world of Major League Baseball, it's a pittance. It's chump change. That's because MLB players live in some kind of alternate universe. According to Baseball Reference,com, the minimum salary for an MLB player in 2015 was $507,500 per year and the average salary was $4,250,000. In 1970, the minimum salary was $12,000 and the average salary was $29,303. By 1990, the minimum salary had jumped to $100,000 and the average salary to $578,930 (It's interesting to note that the average salary in 1990 was in the range of today's minimum salary). In 1994, the players went on strike and the World Series was cancelled. By 1995, the minimum salary had increased slightly to $109,000, but the average salary had spiked to $1,071,929. I am not arguing that major league baseball players should't be paid well. In fact, there was certainly a time when they were terribly underpaid. Now, however, the pendulum has swung too far in the other direction. Average salaries are spiraling out of control. Who in the real world gets such increases in pay? These days, if someone has a stable job with a pension and benefits, he or she is considered very fortunate. Not only that, but there are scores of worker who are underpaid and undervalued. Why aren't nurses, for example, paid more? Baseball used to be an affordable sport. A family could attend a game for a reasonable.price. It's still more affordable than many other sports, but not for much longer. Even the 500-level at the Rogers Centre is becoming expensive. Don't get me going on the outrageously high price of concessions, which I refer to as highway robbery. Baseball players always play lip service to the fans. They thank the fans for their support. If they really want to express their gratitude, they should demonstrate more concern about the escalation of ticket prices. 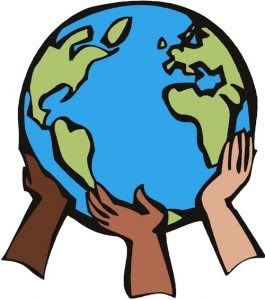 Since major league baseball players receive such lofty salaries, perhaps they should give more back to the community, rather than continually buying new cars and houses. Many players certainly do make generous contributions of their time and money, but not enough. 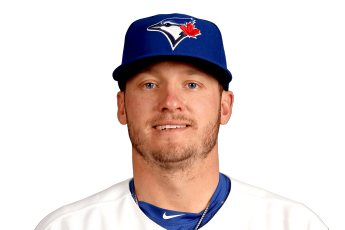 As for Josh Donaldson, it will be terribly difficult for him to replicate a season as successful as last year"s. He should be rewarded for his remarkable contribution to the Jays' success. 2015 was a season to remember for Donaldson as he was named the American League MVP and he led the Jays to a post-season play for the first time in 22 years. Many argue that the Jays are being cheap and foolish. They question why the Jays would risk alienating the slugger for the sake of $450,000. In the alternate universe of Major League Baseball, it doesn't make any sense for the Jays to upset Donaldson's applecart for a piddly $450,000. In the real world, it seems more reasonable. * I dislike corporate names on ballparks. Unfortunately, they are a reality.. As long as companies such as Rogers Communications lay down their the money, they have every right to name a stadium after themselves. Obviously, I prefer "SkyDome," but I don't own the place. Rogers, however, purchased the stadium at a bargain basement price and decided to call it "Rogers Centre." They should have called it "Rogers Stadium" or "Rogers Dome." A ballpark should not be called a "centre." It just doesn't sound right. While I'm on the subject of the Rogers Centre, why isn't there a sculpture of a great Blue Jay player, such as Roberto Alomar, at the dome? Other ballparks have such statues. The Rogers Centre has a statue of Ted Rogers. Rogers, of course, has a right to erect a statue of their founder. I am not disputing that. I'm merely saying there should be one of a great player too. This is the first my intermittent reflections on my favourite baseball club. The Toronto Blue Jays are my team. I've been an avid supporter of the Jays for a long time and I consider myself a dyed-in-the-wool fan, not just a fair-weather one. That does not mean, however, that I wear blinkers. I will not hesitate to criticize the team's ownership and management if I feel that the criticism is merited. I don't profess to be an expert. I'm just a fan who enjoys watching ballgames, expressing my opinion and listening to what others have to say. In other words, I care about the Blue Jays and how they are doing. If you want apathy, you won't find it here. The 2015 season was a roller coaster season for the Jays. It began with fluke injuries in spring training to pitcher Marcus Stroman and outfielder Michael Saunders. From opening game to the All-Star break, the team hit a ton of home runs, but did not win enough games to seem like a contender. What an explosive offense, though, led by Jose Bautista, Edwin Encarnacion and the eventual American League MVP, third baseman Josh Donaldson! Fans feared another lost season, until General Manager Alex Anthopoulos really went to work in July 28, 2015. He acquired shortstop Troy Tulowitzki from the Colorado Rockies. Two days later, the Jays had a bonafide ace starting pitcher. Jays fans rejoiced when they heard the news that lefty David Price was coming to town. From then on, the Jays caught fire. What an exhilarating time as the Jays challenged the New York Yankees for first place in the American League East. In August, I had the good fortune to travel to New York to see the Jays play at Yankee Stadium. I attended the game in which David Price started and Justin Smoak hit a grand slam. When my husband and I cheered and gave each other the high fives, a Yankee fan sitting above us told us good naturedly to "keep it down." The Jays finished first in the American League East, recording 93 victories. Toronto and the rest of Canada went crazy with excitement when the team made the playoffs for the first time in 22 years. After winning the American League Division Series by defeating the Texas Ranger, they were eventually defeated by the Kansas City Royals in the AL Championship Series. What a ride! Yes, it was disappointing that the Blue Jays did not go to the World Series. I firmly believe they would have beaten the New York Mets if they had. Yes, Anthopoulos gave up a lot of prospects. Still, it was well worth the fun and excitement of participating in post-season play. Unfortunately, however, there were some clouds on the horizon. Blue Jay fans were shocked and disappointed when Alex announced that he would not return as GM. He has subsequently taken a position with the Los Angeles Dodgers. Where Alex's departure is concerned, many (including myself) failed to see the writing on the wall. Rogers Communications mishandled the whole situation and they treated Paul Beeston shabbily. However, like it or not, the Anthopoulos era is over in Toronto. Mark Shariro is in charge now. I'm trying very hard to give him a chance and not to think of him as a carpetbagger who ousted a beloved Canadian. At times, he hasn't made it easy for me. For instance, I don't understand why he is in no hurry to replace the artificial turf at Rogers Centre with natural grass. That should be a priority. Why risk injuries on the artificial turf? Why discourage players from coming to Toronto because of the artificial turf? Weren't the Argos kicked out of Rogers Centre to make way for real grass. Shapiro's stance doesn't make any sense to me. Although I am disappointed that Alex is no longer with the Blue Jays and I regret that he wasn't able to finish the job he started and take the team to the World Series. To me, it's the same feeling as missing the end of a movie. A.A. was just reaching his stride and had learned from past mistakes. I can't blame him, however, for leaving on a point of principle. In 2015, Anthopoulos concentrated on building a team with players of character and he was successful. I wish him well in his new position with the Dodgers. If baseball ever returns to Montreal (and I think it will someday), Alex would make an excellent general manager of the reborn Montreal Expos. He would certainly have to be a leading candidate for the job. In the meantime, I'm just glad he didn't go to Boston or New York. * The Blue Jays made a good move in acquiring relief pitcher Drew Storen. I like Ben Revere, but the Jays needed pitching and they had an excess of outfielders. Now they must choose their new lead off hitter. * One of the worst trades Anthopoulos made during his tenure with the Blue Jays was the R.A. Dickey deal. It's nothing personal against R.A. I'm just not big on knuckle ball pitchers. They are too unpredictable. Yes, I know Dickey won the Cy Young Award, but he was never going to have a season like that again. Only certain catchers can handle a knuckleballer. Although Russell Martin can work with Dickey, it's difficult for him. The Jays have Josh Thole in the lineup for the sole purpose of catching for Dickey. Thole is not a good hitter. That's why the the Jays had better make sure they have a decent backstopper in Buffalo in the event that Martin gets hurt. Otherwise, they'll be up the creek.